“I'm Diana Yampolsky's student. With her help, my childhood dream to sing is becoming a reality and I am eternally grateful for her to accepting me as a pupil and teaching and guiding me in a process. With her unique method of Vocal Science, I am moving forward, trusting her fully, and witnessing a transformation, that's happening to me with many "Aha" moments along the way. I used to sing, or shall we say, making attempts to do so, with a high pitch, because my speaking voice was very deep and raspy, and I couldn't sing with that. But both those options were incorrect, and I am learning that there is a special place where exists a beautiful and powerful voice and pure sound. But I have to completely let go of old habits and learn new skills. Thank you for being so patient and for being great vocal coaches. I have to say that when Timmy arrived for his first singing lesson, he was feeling quite nervous and anxious. But with your help and undivided support, he began to feel a lot more comfortable. I really appreciate how you took the time to make sure Timmy understood what you taught him, even when the lessons were inevitably going over the set hour and a half. Timmy often came tired, with both school and competitive dance occupying most of his time, but with your kind help and fun attitude he’d re-energize and sing his heart out. I had given up singing almost a decade ago due to unexplained raspy sounds and uncontrollable vocal cords. When my speaking voice was also beginning to be affected, I finally decided to seek help. I've travelled around the GTA to be examined by several experts and became very discouraged with the unclear diagnoses, lack of direction and results. I was attracted to Diana Yampolsky's website when I saw that she believes in natural remedies and non-surgical methods for voice repair. Ever since, I am emotional almost every time I walk out of Diana's office. My speech was improved and I was able to host a big event in French without my voice cracking like it usually does. I also have hope that I will sing again. Diana and Jamie, her assistant, are special people with kind hearts. The techniques are unique and groundbreaking. I'm a believer and a direct witness to their effectiveness. I am forever grateful and will be a lifetime student! Former Singer/Songwriter & University Student - from Toronto, Ontario Canada. I just want to let you know that my voice now is very good. Using the speaking techniques and the herbs have kept my voice well. The longest that I’ve had a sore throat this time around has been only for one day, which is a miracle for me! Usually, during this season, I have constant colds and throat infections. Thank you for everything, Diana! I always loved singing, but being traumatized from the previous “assessments” never had the confidence, let alone the knowledge of how to do it. To introduce me to the Vocal Science method, Diana, at first, offered me to attend a few of her vocal workshops. While there, in the process and in the moment, it felt to me as if I was jumping off of a cliff without a parachute…! Nevertheless, I was extremely shocked, when with Diana’s help, I was able to produce a clear and strong sound, almost just like… Cher - LOL. I am super excited about the future and being able to sing, which was always my dream and it started to become a reality. Can't wait to sing on a stage one day, and make what seemed to be impossible… possible; create a new reality! I am extremely grateful for this opportunity, thank you so much! Vocal Science Program student & attendee of our Voice/Vocal Interactive Workshops! “Just another quick thank you. Sang twice over the weekend, backup mostly, but I was singing stronger and clearer. All thanks to you. Also I sang in a gospel concert last night with my son in Plymouth, IN. an hour before did my numbers and “lemon tree warm ups”. I sang notes (not perfectly, but tons better than I have sang in a long time) all thanks to you.. Your program has definitely benefited me as a result of my time under your care. In fact, I am hoping to get the funds together to come finish my training. Cant wait till I am able to return to Toronto, Canada and complete my training. Also, I ran a couple of our videos on Instagram this past weekend encouraging people to contact you, as none of this would be possible without you, Diana. Rich's first extensive testimonial can be found in the link HERE. – Professional Singer/Songwriter & Pastor from Chicago, Illinois. 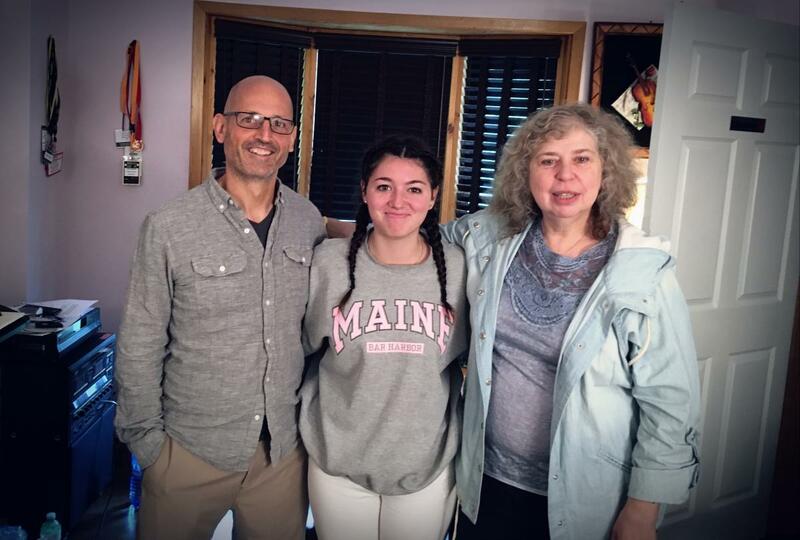 "Since being diagnosed with muscle tension dysphonia 7 years ago, I had given up hope after seeing various speech therapists and doctors with no results. It was only after discovering Diana and taking up on her unique approach that I finally began to witness real changes and drastic improvements in my voice. She was able to lift my voice to a completely new set of facial muscles and holistically heal my damaged vocal cords. It's by no means an easy or quick fix, but she definitely has the real and only solution I know. The great improvements in my voice after just a few sets of hours have proven her methods truly do work. 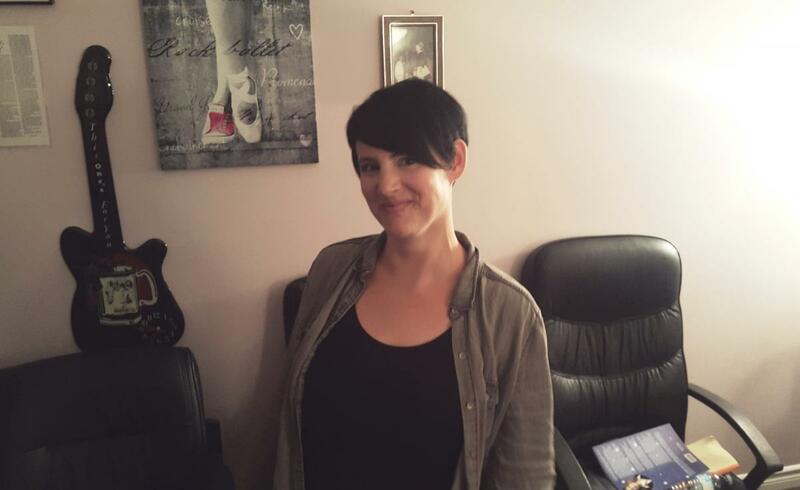 Diana has given me restored hope in fully recovering my voice from MTD!" University of Toronto Graduate, Digital Marketing Expert. I could sense that Rich is a gifted singer and musician. I am not even a singer myself, but even I could tell that his voice was quite compromised and damaged when Diana started her workshop. On top of it, he was also rather reserved and a bit skeptical at first of Diana's nonconventional method, as it directly contradicted with what he was taught throughout his professional singing and music career. Nonetheless, Diana was able to prove again the magic of her unique method and after only a few hours, the rest of us noticed an evident shift in both Rich's voice and himself! His voice became profoundly clearer and stronger, without any further signs of injury. He also became more animated and lightened up, as he finally started to grasp what Diana was trying to teach. It was so inspiring to witness this transformation over the course of just a few hours. 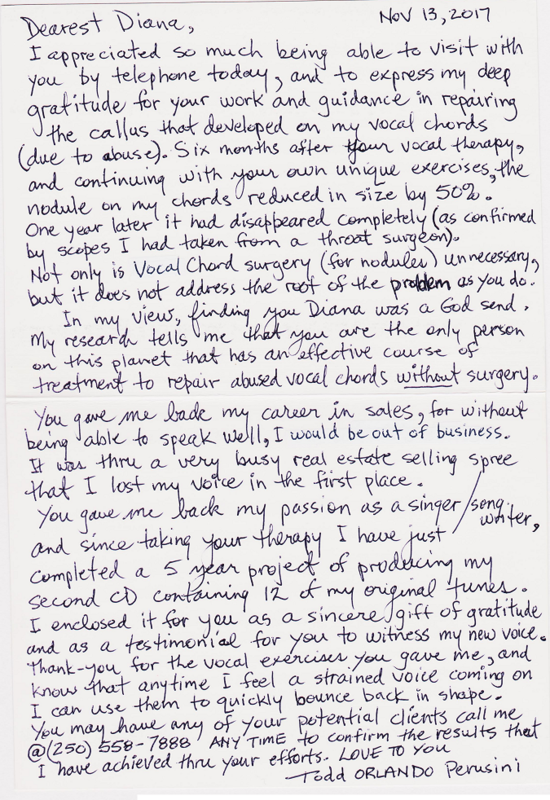 It definitely reinforced my hope in my own vocal repair journey and deepened my trust in Diana's approach. I am taking this opportunity to reflect on my experiences from the last workshop I attended. First of all, I want to thank you for inviting me to participate and I am very grateful for it! The number of attendees was limited, as those groups are small, to allow Diana to work with all of us..! Great things about those workshops include, but not limited to, a possibility of witnessing other participants overcoming, with Diana's help, vocal limitations, caused by health or other circumstances. We can apply those lessons, tools and techniques learned and being used by other people to help our own situations. During those workshops, I always have the "Aha moment", as I stumble upon new discoveries which helped me immensely. Seeing crippling voices become clear and powerful is like witnessing a miracle over and over again. I, in fact, (the next day after the workshop) and completely by fluke, met Diana, her assistant Jamie and Rich in a European Cafe/bakery, while all of them were there on a break. I could not believe the improvement in Rich's speech and in his overall demeanor. I exclaimed: "Diana. What the heck have you done to him? He looks and sounds like a completely different person!" As for myself, during the workshop, I started to understand how everything is interconnected,- body, posture, mind, state of being… Nonetheless, in the final analysis, the voice will definitely play the role of a projection of such state... Needless to say, it also helped me to improve my self-worth, my self-esteem; and thus allowed me to gain even more respect for myself. I am definitely planning to take a series of private lessons very soon. Attendee of our July 8th Healthy Voice/Vocal Workshop.
" I have been a singer for all of my life. Styles have included pop, country, and gospel music. I have taken some private lessons with other popular vocal coaches. Nothing ever really changed; I still had the same struggles and issues. I had been diagnosed with two cysts underneath my right vocal fold and that I should just learn to live with my voice as it is because I have used it and over-used it throughout my life and this was what I should expect to live with. I was not prepared to take that news lying down. Those of you who know me, know I do not take "no" for an answer and have not throughout my life. I wasn't about to take that kind of news when it came down to one of the most precious gifts God has given me, my voice. 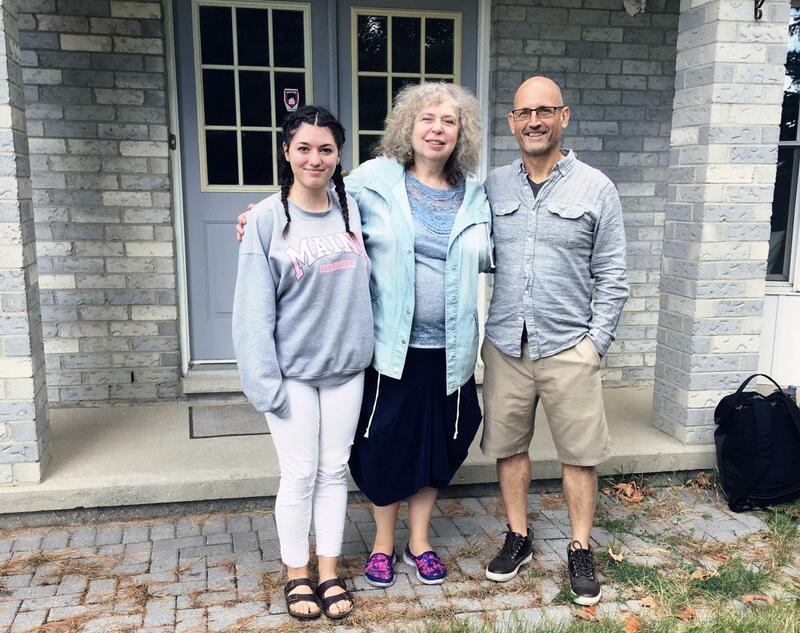 So, this past week, I had the opportunity to fly to Toronto and study with the world-renowned vocal instructor, Diana Yampolsky of Vocal Science and the Royans Professional Voice Institute. I had known about the Royans and Ms. Yampolsky for several years but was never able to attend. Seasons in my life had now changed and I was able to consider making the trip and investment. I have to admit, upon first hour or two I was skeptical of this approach. However, somewhere in hour three or four, I was beginning to get a new concept of what was happening. My voice was becoming stronger. I could tell first in my speaking voice. After the hours of training, I was not tired. I was actually stronger and my voice started to have the "spark" that I had been missing. Hour by hour over the few days I was there things were improving. My vocal apparatus was not only stronger but my mental conception of what to do to stay in the "sweet spot" was also sharpening. I was actually understanding what was going on. When I left that day I knew I wasn't totally cured in a mere few days, but I was stronger and had the tools now to improve. Diana teaches in a scientific method of how the mind, body, and emotions all come together to produce sound. It really works !! I have further to go on this journey and will use these tools to continue building where she laid a foundation for me. A side note--this past weekend I experimented in live concert with a couple notes from "up there" I hadn't been able to do without struggle previously. I sang them, with very little effort. I was thrilled. I will cautiously continue to implement what I was taught and gently experiment with implementing it into my singing. Thanks are not enough...worth all of the investment. If you use your voice, you need to consider investing in it with the Royans and Ms. Yampolsky." When I started working on my vocal technique with Diana, I had set out wanting two specific things: 1) I wanted to expand my vocal range, and 2) I wanted to sing with more power without my voice giving out after a song two. After 20 hours, I have achieved both of those things. I can hit higher notes, ones that I remember having difficulty achieving previously. The strength of my voice has also significantly improved. As I'm putting Diana's amazing technique into muscle memory, I'm achieving greater vocal power and the sound I produce is directed and clear. On top of these things, and much to my satisfaction, the quality of my voice has also greatly improved. I continue to receive compliments on my singing and my confidence level has greatly increased. Long story short, what Diana has delivered to me is beyond my expectations and I look forward to continuing to work with her. I'm excited to see what the next level in my vocal ability will look like. In one word the experience was awesome!! This workshop helped me to see and experience the theory which Diana has explained so well in her book (which is a must read). What was interesting for me was to see how each one of the participants was given an individual approach and the result was a beautiful but individual sound. It was as if I could finally hear myself, my soul, the real me, which was suppressed for so long. Diana explained to us that the body, soul, and spirit are all interconnected and that all are components of the instrument that is our voice. We worked on balancing the body to help our voice be clear and strong. The warm atmosphere of the group helped us all to feel welcome and comfortable to be vulnerable with our voices and go beyond what we could ever imagine. While I came here to improve my speaking voice, by the end of the workshop Diana had me singing! This gave me confidence not only in my speaking and singing ability but to be myself. Now an active member of the Broovkville Barbershop Chorus (Thousand Islanders Chorus). Thought I would share with you the note I sent to the Thousand Islanders Chorus today. And of course none of this would be possible without you and your Vocal Science technique! "Happy Canada Day weekend Diana :). Our performance on Sunday at Shanley United Church was triumphant! I couldn't tell if we produced overtones or not but the sound in that 125 year hall of worship was extraordinary." Former Speech and Singing Voice Repair Client from Brookville, Ontario – Now an active member of the Broovkville Barbershop Chorus (Thousand Islanders Chorus). I can't wait to get back down there to you. I was singing today and said to myself, "that sounds pretty freaking good! Holy crap!" "Diana, I am looking forward to our next session together. With your guidance, I have made some noticeable improvements since my first time working with you and am working my way back to heal my voice from the damage I've inflicted upon myself after singing improperly all these years. "I cannot state enough how much Diana's teachings have helped me, I came to see her after more than 3 months of vocal pain, strain and absolute uncertainty of what my voice would be like in the near or even distant future... A singer who cannot speak for more than an hour without resenting it for the next few days... imagine that! She is a visionary who by I don't know what fate of destiny created a radically new way of using one's voice, a way that goes against almost everything I had been taught correct singing or even speaking should be about... and you know what? it works! I enjoyed a lot my experience learning from Diana, she is a generous and bright person with a really strong personality who knows her stuff like no other... of course, she invented it! Everyone was super nice and I'm thankful to them all: Diana, her assistant Jamie, her husband Chris and even little yellow Juke, Diana's little funny pet/car. In the end I returned home with a singing voice that still needs to practice before it goes back onstage but with so many valuable lessons for the future as a professional voice user... I better start saving up for the "international celebrity package" which I just made up but which I'm certain that Diana, if given enough time, can deliver!" Former Speech and Singing Voice Repair Client from Brookville, Ontario – Now an active member of the Brookville Barbershop Chorus. After suffering for years with chronic hoarseness and recurrent bouts of laryngitis, as well as with muscle tension in my neck, I was finding that my symptoms were getting worse. My occasional laryngitis was turning into regular laryngitis that would cause me to completely lose my voice for days at a time, and at the end of each work day I would have a sore throat and be completely hoarse and raspy. This was causing me a great deal of concern as I rely on my voice for my career. After a particularly long week at work whereby my voice was down to a whisper due to 10+ hours per day of constant speaking, I happened to watch a CBC special on the number of professional singers and speakers who have been losing their voices due to strain and improper technique. I started searching the Internet for voice specialists, however I did not want drugs, injections or to end up in surgery, as the risks of permanent vocal cord damage are high. I came across the Vocal Science website and their method for non-surgical voice repair and called them right away. I met Diana for an introductory session and then signed up for 30 hours of instruction and began an eye opening experience into how to properly use your voice! For anyone struggling with voice problems - whether speaking or singing - I strongly encourage you to make the investment in yourself and go see Diana. There's no need to risk surgery or medication when you can instead learn a completely natural way of speaking that will preserve your voice for years to come. Manager, Partner Programs at End to End Networks - Strained Vocal Cords & Muscle Tension Dysphonia client from Aurora Ontario Canada. Arrived safely. I want to thank you again for your complete dedication of your talent to improve my voice. It was a great few days! Brockville Ontario - Present and past student and attendee of several Voice/Vocal Interactive Workshops. This is his letter inspired by a CBC News article titled: "What's robbing Adele, Céline Dion and more singers of their voices"
My name is Bob Harris, age 66, and I have been a professional singer since my mid teens. Three and a half years ago I started having negative vocal issues that I had never encountered before: hoarseness, limited range and power, and I was even beginning to speak like a teenager going through puberty with voice crackling and yodeling (at least it wasn't accompanied by the acne). An ENT doctor in Denver, Colorado diagnosed my vocal cords as pre-nodal, and advised me to rest my voice and all would be well. I did, and it wasn't. I was faced with the possibility that my singing and performing life was coming to an end. Through an extensive internet search I luckily came across Diana Yampolsky, and traveled to Toronto to do 30 hours of work with her. In short, she gave me my career back. Diana's method is truly holistic. this mental/emotional intent efficiently into a vocal response there must be a coordination of mind, body, breath, and vocal folds working together, much like the timing of an engine— fuel, compression, and spark— if the timing/alignment is not right, the performance of the engine will suffer or break down completely. Vocal problems can begin from any number of sources, physical and/or emotional. Conscious, subconscious, structural, and even spiritual imbalances can start a chain of events that lead to an out-of-sync vocal response, eventually damaging the vocal folds. The physical and emotional demands of constant touring on today's performers are well known and have derailed many an up-and-coming, as well as established, artist. The performer's desire to "give all" meets with a vocal response machine that is out of balance and then the problems start. Diana's method puts the individual parts of the vocal response mechanism back in sync and allows the student to activate muscles that "lift" the voice off of the vocal cords, drastically reducing the stress put on the voice increasing vocal power, endurance, and flexibility. The physical benefit is the easier production of sound and the healing of the vocal folds if they are "heal-able" (i.e., diseases such as cancer, etc.). The most beautiful benefit to the performer (or at least in my case) is that the voice now gets back to naturally responding to the original emotional intent rather than singing with a focus purely on physical technique. Or more simply put, it's the difference between singing to an audience instead of singing at them. The work that I have done with Diana has had a lasting and even growing effect on me both as a singer/performer and a person, and I am eternally grateful to her. I cannot recommend her highly enough to anyone seeking help in both singing and speaking. 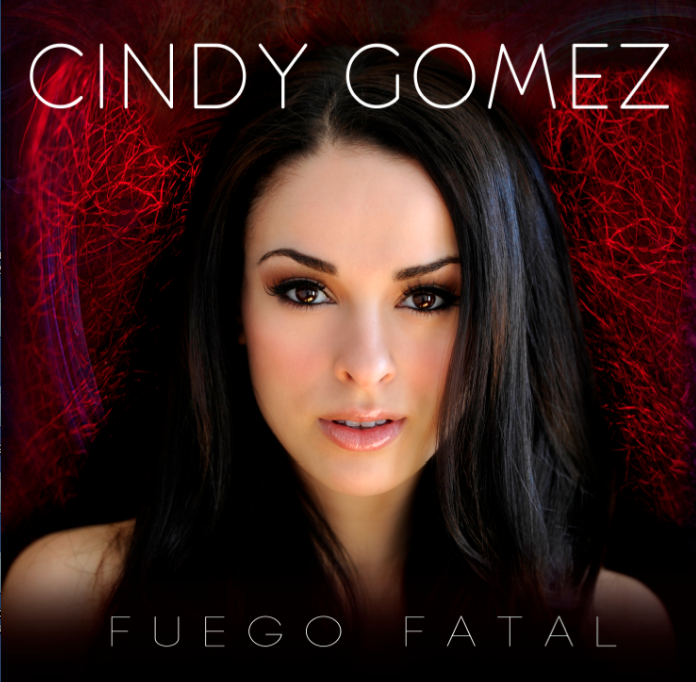 Professional Singer & Voice Repair Student of 2014, from Colorado U.S.A! I feel the need to tell my story as there are many people who could benefit from your help, however, they are not sure if they can be helped or are scared to take the first step. Please believe that if you have voice damage of many sorts that Diana's unique approach will be able to help you. Almost 40 years ago I damaged my vocal chords and after suffering for a number of months with a very unacceptable voice I had surgery to remove vocal chord nodules. Over those next 40 years my voice – although it was "repaired" – became my Achilles heel. I had innumerable cases of laryngitis and learned to live with a hoarse and rough voice. After retiring several years ago, I wanted to return to singing in a chorus. However, after several months of singing with the chorus it became clear that I could damage my voice even further if I continued to sing, and that my singing voice had significant issues. So I went searching for help. I feel extremely blessed that I found Diana and was able to travel to Newmarket from where I live near Ottawa and experience her techniques. First we used Diana's vocal science technique and her herbal remedies to work on my speaking voice. Although this as a significant amount of effort on both our parts, the end result has been a great joy for me! Friends I have known me since I was a teenager have commented on my voice, which has been repaired to the point that I sound 40 years younger! While working with Diana I also continued to go to choral practice to learn the music, although I was not singing. The chorus director at one point told me – after he heard my new speaking voice – that he could hear the music in my speaking voice, and would be thrilled to have me back once I was finished. Diana has been working with me to translate my new speaking voice into a new and improved singing voice. I cannot believe the tone, clarity and power I have in my singing voice now. So thrilled that I am able to debut this new voice with the chorus as we prepare for the rigours of multiple Christmas performances. My journey to a new voice has been rigorous and not without setbacks. I am beyond ecstatic as to what I have been able to accomplish with Diana's help. Below is a handwritten letter from Todd. Former Voice Repair Client (2008): "Nodule on my chords" - by his own definition. I have been struggling with Spasmodic Dysphonia and Muscle Tension Dysphonia for the past 4 ½ years. It has been difficult to work, talk to my family and friends and communicate with anyone I came in contact with. I worked with both Speech therapists and speech Pathologists that could not help me and then tried Botox for 18 months and experienced not at all good results which caused me to have no voice for at least 4 weeks after that. In December 2017, I started working with Diana and have now worked with her for 30 hours to date. 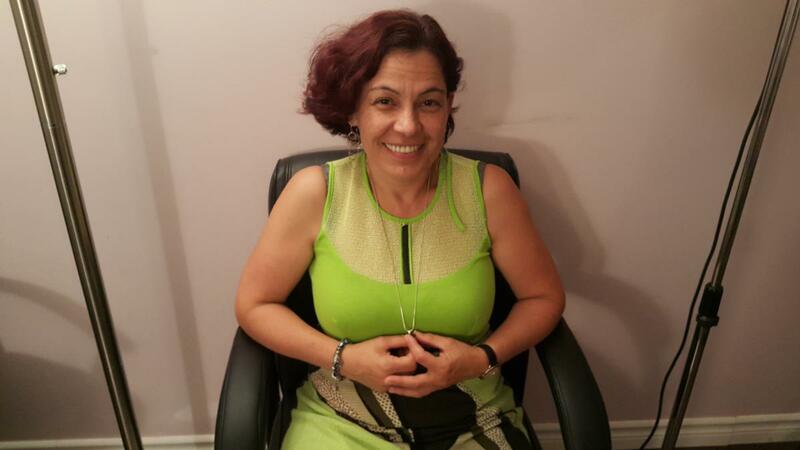 Diana has been a wonderful help and she is extremely intelligent, perceptive and caring. It is amazing how she can understand what is happening with my voice and teach me how to change it so that it is clearer and louder, as well as helping me to breathe properly while speaking. The Vocal Science method and herbal treatments have already helped to improve my voice significantly. Diana is a true blessing and has provided hope for a future with a voice! I am excited that she will continue to coach me and highly recommend Diana for any voice issues. CPA (Certified Public Accountant) - Spasmodic Dysphonia Voice Repair Client from Ancaster, Ontario Canada. Former student of 1990 & attendee of numerous healthy Voice/Vocal Interactive Workshops! "My dream is to come to some money and record all the songs I have written with Diana in the studio, guiding me to my best performance!" "I originally became Diana's student in 1990 and I have never lost touch with her. And now, almost 30 years later, I am again participating in her workshop! All of those workshops (in the past and now) are very enlightening and very Godly in their nature. In fact, I was working with Diana on a song I have written which is called 'God, Please Call My Name'. Thank you Diana for all the years of our business relationship and mainly our friendship." I attended a vocal workshop that Diana Yampolsky ran this past weekend. Saying "amazing" or "incredible" will be understatement. When I was learning to play piano at the music school I had to take singing classes as part of curriculum. But I was so bad, that teacher told me to only open my mouth and not make a sound! No one actually took time to explain what singing is all about, mechanics of It, or bother with actual teaching. Now I understand that no one new Diana's revolutionary method, neither they had her gifts to hear, see and coach a rookie to become a professional singer. I also realized that one weekend is not enough and I am planning to take a recommended by Diana course, to be able to sing for myself or friends with confidence and comfort for everyone's ear. Nevertheless, one thing for sure: Listening songs on a radio became bothersome experience, as now I can hear all the unprofessional sounds, originated either using vocal cords and putting them under excessive pressure or simply using the nose to produce the sound! Diana, it is no doubt that most of the singers are lacking your professional and phenomenal coaching! I first came to Diana at The Royans Professional Vocal School over 10 years ago. At that time I had a nodule on one of my vocal cords. My singing was effected a lot and it was very frustrating for me, as I loved singing and sung from a very early childhood. Not only was Diana able to get rid off my nodule non-surgically, but she also taught me how to sing properly and then was also acting as a vocal producer at one of Toronto's prominent studios “Phase One" where she recorded with me 2 quite difficult songs- one by Witney Huston - Run To You" and one by Elena Miles-"Black Velvet". Then many years later due to a lot of stress at work and also excessive speaking and singing (also singing in a band) I acquired muscle tension dysphonia. Upon recommendation of my doctor, I went to a speech therapist and after spending a lot of money got absolutely nothing out of that. Last year I returned back to Diana and now both - my speaking and my singing voices are fine and I feel that my voice in general is now very healthy. Diana also helped me with her great knowledge of natural remedies which I am still taking to keep my voice in tact and in its best shape. Thank you very much Diana. I feel so vocally empowered after Diana's sessions and workshop and I still am enjoying getting better and being at this level. I am certainly grateful to Diana for making me overcome any of my vocal shortcomings and give me the ability to confidently sing better and safer and more easily. I give thanks for and use that gift every day! National award winning singer/songwriter and musician from Niagara Falls, Canada! "Yes Diana. Got home safely yesterday afternoon. And then off to chorus practice." Had NO voice problems or soreness and felt very comfortable. Had several comments about my lovely voice. All good! After 22 hours of instruction and natural herbal treatment. #1, Diana, you’re the best! #2, Dr. Morton Cooper is the second best, just because he never addressed the breathing mechanism, which I now understand is very important in treating this disorder. Spasmodic Dysphonia Sufferer from Ottawa, ON. "I really enjoyed meeting you both as well as the workshop. I found it fascinating and I am extremely intrigued by your methods." "I have referred a local vocalist who is suffering from severe issues stemming from vocal polyps. I hope he contacts you soon. I know you are the only one he should be seeing! He is a fantastic power Metal styled vocalist, who should be touring and recording and can't right now." Below, Mr. Lee had submitted to us 2 of his video examples which clearily demonstrats what our non-surgical voice repair program has been providing him with respect to the improvement of the quality of his voice. Within the first video, you can see the condition of Mr. Lee’s voice before our instruction and treatment. And the second video highlights the stage of progression with respect to the newly-adapted mechanics; and thus revealing a better quality of his voice, after just 3 sessions with the use of our Vocal Science™ non-surgical voice repair method & technique. Happy to report we are home! Each time I come home I feel I am one huge step closer to my goal. Could not have happened without your experience and care and attention. Voice Repair Client From Ottawa/Kingston, Ontario. My name is Karima and I first became Diana's student 15 years ago when I was 17 years old. I loved it and especially was impressed that my throat was hurting never unlike after my other lessons which I was taking from a quite known vocal teacher for about a year prior to me coming to The Royans Professional Vocal School. However, and unfortunately, I had to stop going for my lessons with Diana for a while (due to the personal circumstances). I returned back in 10 years and not only had I advanced to a totally new level, I started to train to become a junior instructor. 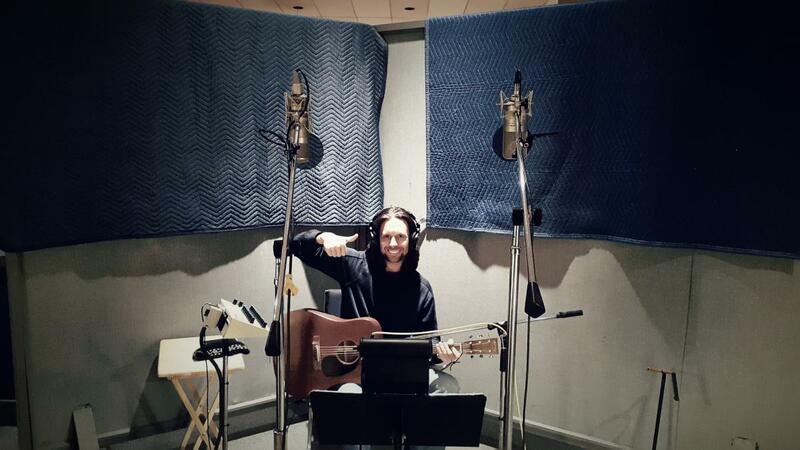 I also recorded a few songs with Diana's guidance - first at Metal Works studios and then at Phase One studios, but had to leave my passion for a while again. And now, I am finally back again (3 years later) and this time I would like to see myself becoming a professional singer; and thus bring it all to a very successful performing carrier! In the interim, I might start teaching the "Vocal Science" method again, as I truly believe in it and also believe that Diana could practically make a singer from almost anybody who believes that they could and desires to become one. like I do! Thank you Diana. I can't wait to take my voice to new heights and prosper it to the absolute top! Semi-Professional singer/performer from Toronto Canada. After yet another 20 hours of Non-Surgical Voice Repair Inatruction and Treatment. "Thought you would be happy to know that on the phone today I was asked my age and I told her the woman said "oh my goodness you don't sound 62!". Thanks to you Diana." Hello Diana, Sorry, it has taken so long to hear back from me. My father is known and loved by many; as a counselor and a preacher his voice is his greatest ally. With his voice, he has been able to raise numerous youths and young adults who are thriving across the world. About 2 years ago, we noticed my father got hoarse after a long day of preaching, counseling and having conversations with others. Especially on Sundays after a long sermon it was almost impossible to hear him even when we were standing 2 feet from him, it was even worse when holding a conversation with him over the phone. My family and I were very worried that we will not be able to hold conversations with him and he will not be able to instill in us the wisdom and insight that he has. We heard about Diana through a family friend, we got in touch with her and the reception we received from her was very warm and welcoming. 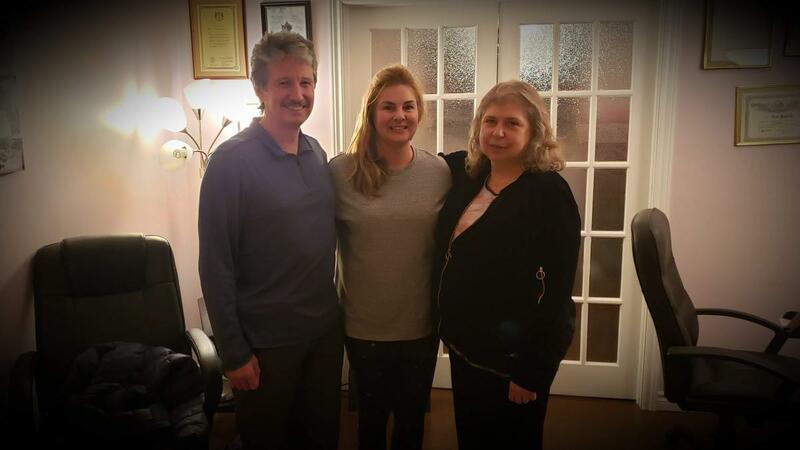 My parents and I drove to Canada for some lessons on how to improve my father's voice and reduce the hoarseness in his voice. We went with the 30-hour session, which we completed in 5 days. The sessions were very tough to be honest but it was definitely worth it. Diana and her assistant were always willing to help and answer any questions that my father and I had about the treatment and the sessions. 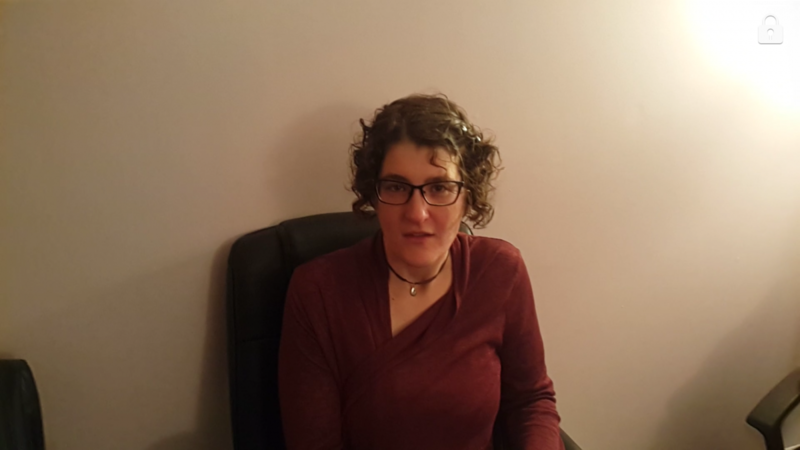 Diana is very passionate about her work, she takes whatever steps necessary to aid her clients in getting their voice back and reducing any vocal issues, they may have. After the 5-day sessions, my parents and I returned to the United States, although we were a little concerned about how long my father will be able to sustain what he learned from the sessions with Diana, we could see the major progress that he had made with his voice in such little time. My parents and I have been back home for over a month and My family and I are still very impressed with the progress we have seen with my father's voice. I have not noticed any hoarseness in a while and we pray it stays that way. Thank you Diana for being so good to my family, and me we are eternally grateful. We look forward to working with you in the future. Regards to your Husband and your assistant. 2 years and 3 months later. Letter of reference to the future client. "Hi again, Rachel-- sorry I didn't have time to write more earlier. I did 30 hours with Diana 2 years ago-- I've been a professional singer since I was 16--I'm 65 now and still performing-- thanks to Diana. I was pre nodal and sinking fast. much quicker and infinitely deeper than anything else I've ever experienced. it will take total dedication on your part, because the work is not easy at all, on the other hand, I was 63 when I went through it-- if I can,anyone can :) there were times during the week I spent working with Diana that I thought I couldn't do it and more than once I wanted to quit-- a lot of things get stirred up during the work--however, I would go through it all again in a heartbeat t. If you decide to work with Diana, you won't be disappointed-- you will work very hard and reap the immense benefits. I wish you the best of luck in your pursuits. Voice Repair Student from Colorado. "Rachel: I am happy to help. First my story - over 30 years ago I had surgery to remove nodules from my vocal cords. Since then I have not really gone back to singing as family plus heavy work obligations kept me very busy and my vocal cords were always a problem. My voice tired easily, could not 100 percent be relied upon, and I got complete laryngitis several times per year. Having retired recently I wanted to join a local ladies barbershop chorus. The director though was very worried about me damaging my vocal cords again, and I myself could feel my vocal cords being sore after our 2 hour practices. So I sought out Diana as she seemed to be the only avenue out there to help. I spent 20 hours with her several weeks ago and was exposed to her unique technique for speaking and singing. I can tell you after several hours with her my vocal cords do not hurt or aren't tired -- just my cheek muscles! You can feel the difference in how you produce sound and volume. I am not saying its easy -- it requires effort and dedication on your part and patience on Diana's part. She has an amazing eye and ear and is observing you the whole time, and quick to tell you when something is wrong with your voice or your body. Diana also suggested several herbal treatments for me and I can really see how they are helping me (and that's for someone who spent her life in the biological sciences and have been a little skeptical of herbal treatments). At the end of my first sessions with Diana I finally got to sing for the first time and I was TOTALLY amazed. I could not believe that I could produce that sound, that volume and clarity and length to hold a note without any change in pitch. From what I have experienced I would say all the testimonials you read on the Vocal Science and Repair Your Voice website are accurate. Diana has spent over 30 years of her life creating and fine tuning her techniques and it shows. She is a dedicated to your improvement but in a taskmaster sort of way. You have to dedicate yourself as well. As for the cost -- it is not insignificant. You WILL get results and I would do it all again with Diana. I wish I had looked for and found her about 20 years ago. It would have saved me years of frustration with my voice. Good luck, and let me know if you have any more questions. Versatile Singer/Songwriter from Barrie, Ontario. More then a year ago, she (to improve her craft) embarked on a singing course with our Master Voice/Vocal Coach, Diana Yampolsky!
" -Big hugs!! Every day I use what you taught me in how I speak to people. I love how I sound way more confident and can tap into what I've learned at any time, no matter how down I may feel. I am still writing my own material gradually. 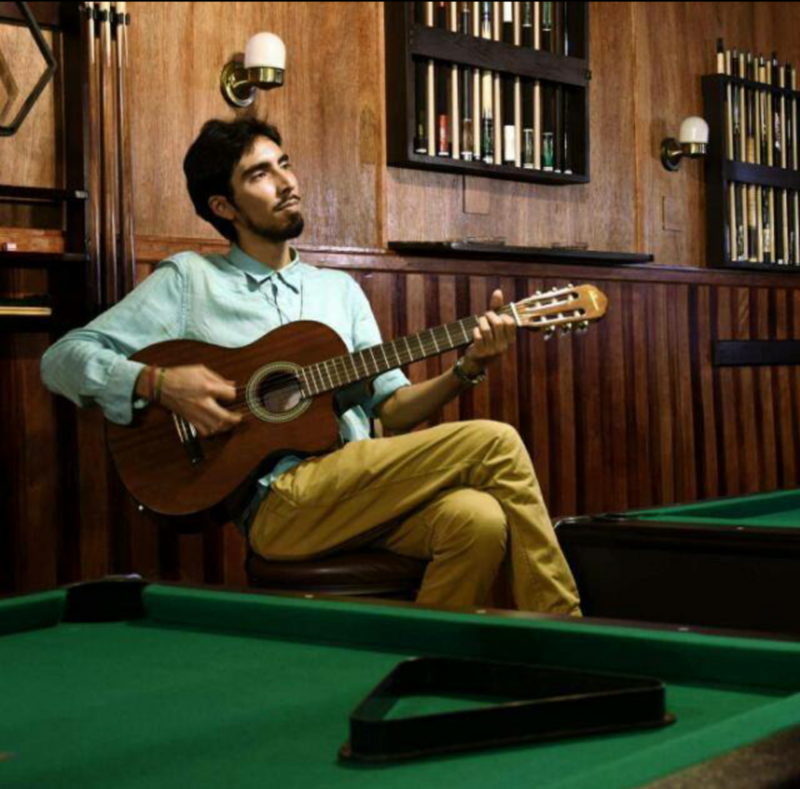 Can't wait to show you my songs when they are recorded professionally! I talk very highly of you to anyone who wants to listen to my experience as a musician, or just overall anyone who wants to sound more confident in themselves vocally, or on a day to day basis. I love how I can break everything down now. I'm so grateful I found you! !- "
Nearly a year ago, she (to improve her craft) embarked on a singing course with our Master Voice/Vocal Coach, Diana Yampolsky! my voice! I can't thank you enough!" Please also see Megan's previous feedback on her 20 hour Case Study Vocal Course! I went to a Vocal Science workshop in early December 2016 because I had heard about Diana's method of voice training from a friend of mine who had benefited from Diana's vocal lessons many years ago. I am a singer who has struggled with hoarseness and losing my voice after performances -- and I was very concerned about causing irreversible damage to my voice. I didn't know what I was doing wrong when I sang. Within minutes of attending the workshop, Diana isolated my trouble areas and provided instruction on how to correct them. I was shocked at how much better I sounded after her guidance than when I first sang before her instruction. I felt that for once in my life someone could provide me with practical, technical and functional information that helped me sound better -- with no strain or hoarseness to my voice. Diana helped me immensely. She has a unique approach and technique to vocal instruction that really works. I had a great time in a great atmosphere of learning. I would absolutely recommend Diana's Vocal Science to any singer who wants to get the best out of his or her voice. Thank you, Diana! I will be back for more in-depth sessions. Professional Singer from Mississauga, ON, Canada! I attended the Vocal Science workshop on Dec. 4 with Diana Yampolsky and also had a 2 hour lesson prior to it. Because I was travelling from NYC, she wanted to ensure I got the most out of my brief trip. 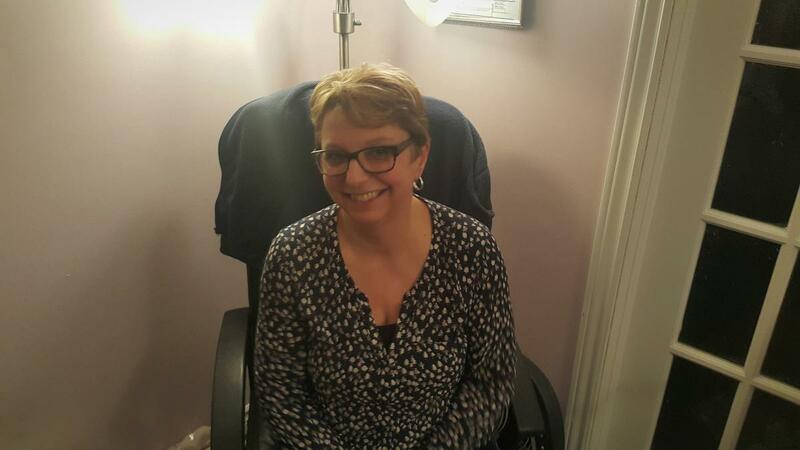 During the lesson Diane showed great awareness of what was going on with my body and voice. She started with what was essential in creating healthy sounds in speech and in singing. She guided me to facilitate my grasping of the correct way to produce sound. She has a keen ear to hear healthy and unhealthy ways of executing sound. While it took me a while to do this even to a beginning level of understanding, she was positive and in tune with the movement of my body and vocal progress. Repetition with Diana's guidance and insight was welcome because she was completely dedicated to helping to integrate healthy vocal habits. She could tell if I felt discomfort and gently encouraged me to keep trying the exercise until my body started to comprehend. She modeled for me as well as described clearly the adjustment I should make. And so I started to grasp and improved as the lesson continued. During the workshop, she applied the same methods to each participant but on a smaller scale. Each person participated for themselves and was invited to provide feedback to others. It is an experiential workshop, thus making it extremely valuable. People come from all over and there were several people there returning because she had helped them with such impact in the past. I highly recommend this course for anyone who seeks to help his/ her voice to heal and grow. Diana's intuitive and technical knowledge of the voice, experience of 30 years of teaching people with and without vocal disorders and her undying passion to bring this knowledge to her others makes her a very special teacher. She has dedicated her life to this cause and treats each student uniquely, with compassionate encouragement, and firm conviction according to their needs, with the sole aim to heal their voices. Diana is a vocal shaman. Thank you Diana for your generosity and going the extra mile with me! I just wanted to take a moment to let you know how things went today after I sang my song "Worship & Bow Down". Sadly, half of what I learned from you went out the window when I was live on stage but that is to be expected until I feel more comfortable live. It is one thing in rehearsal but quite another doing it live as you well know. I had my head back lots, diaphragm not lifted as often as it should have been, smile and bites only 50%, etc. but even then, the place was blown away and were stunned by it. I had a friend video it on my i-pad and played it back for my wife Barbi a little while ago. She did not say a word until after it was done and then said. "Wow. What she did with you was a miracle. I cannot believe the difference in the way you sing. That is unreal that she did so much with you in such a few days." Remember, she is not a singer but she was blown away anyways by what she saw and heard. Just wait until I remember to utilize everything properly! I am ready to embrace my next level of being as the Lord opens those doors for me. Thank-you Diana because I never would have learned any of what you did for me which makes all the difference between being pretty good or being pretty freaking awesome. Thank you very much Diana Yampolsky, for the amazing and incomparable Healthy Voice Workshop Summit you conducted on December 4, 2016. As usual you gave it your all, your absolute attention and your utmost technical capabilities and skills. Although we were seven participants in all from all over--including New York--you each gave us individual attention--based on our specific needs which only an experienced science vocal coach of your caliber can do. Very impressive. It was very evident on the quality of my before and after rendition of my composition "God I Heard A Voice Did You Call My Name"--the before was alright--but the after--was rich in quality and was hitting all the right notes and was superb in execution and tonal quality. Again, many, many thanks Diana--your technique is excellent--and can definitely help a lot of people and can make a night and day difference in every serious vocalists/singers/speakers professional singing speaking career. Diana Yampolsky, you are God sent--God bless you and more power to you !!! I am humbled Diana. Very nice people all if them! There was a discernible difference in the quality of their voices from the beginning to the end. Impressive! Proud of you Diana and all the work you have put in and the effort you made all these years. Present student of The Total Communicator Course (Speech development) And a recent participant of the Healthy Voice/Vocal Workshop Summit, Held of Dec 4th. 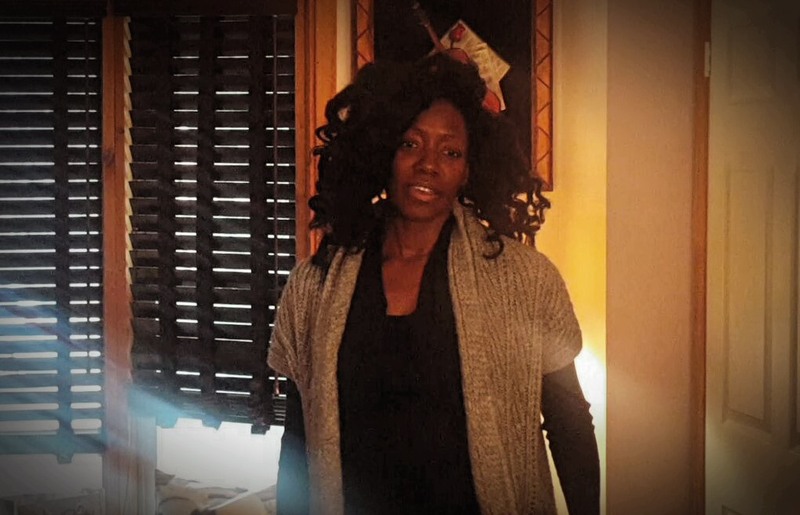 Cary had been previously diagnosed with Muscle Tension Dysphonia and Acid Reflux, which greatly (in a negative light) affected her vocal anatomy and her speaking and singing voice in general. I now have more expression when I am speaking. I've gotten a lot out of it. I can hear a lift in my voice. It is indeed hard, so it is going to take practice. I now have the foundation, all I need to do is to continue the groundwork to “build the house on top”. Jeanine is an elementary school teacher from California, USA. "I feel and I know that I am not being as breathy as before and I am learning how to ‘grab the sound from on top of the air’. I have noticed that this technique it is putting more expression into my voice, especially by trying to think of it when I am thinking of speaking. There is definitely a lot more work ahead." Since 1997 my voice has been a key element in my career. I began as an Outdoor Education Instructor and trained school aged children for over seven hours a day. Starting 2006 I transitioned to working on a cruise ship, first as a kid's club leader and now currently as a computer instructor. I still use my voice as my primary occupational tool over 6 hours every day, for at least 8 months a year, 7 days a week. All of this speaking has taken a huge toll on my vocal chords. I've had pain in my voice for years and have noticed that my voice has dropped lower and lower over time. I hear so many other people my age that also have a lower voice and assumed it was simply from age. This isn't true, but I didn't know that yet. The constant pain and discomfort led me to search online for ways to help me with throat pain, vocal discomfort, proper speaking, etc. Nothing was coming up that seemed truly helpful with those specific keywords. Then I finally (should have started with this) prayed about it. I know that God wants the best for me and that He has always guided me to the right solutions when I place my trust in Him and humbly ask for help. Why do I waste so much time trying to do it my own way? I'll never know, but in the end I did pray. As soon as I finished asking what I needed to do in this circumstance, I typed into the search "Vocal Repair" and instantly was seeing this website with Diana Yampolsky and the unique approach she has for lifting the voice off the vocal chords. YES! That made total sense to me. I'm a skeptic when it comes to training courses and whether it's legit or a scam, so I read every word on the entire site and read the testimonials of others and watched some other people's videos of before and after sessions. I was now convinced it was what I needed and I contacted Diana to inquire about whether or not she could help me with my particular condition. Being at sea I had a unique dilemma...no access to the telephone and internet was way too slow for a Skype conversation, so she amazingly agreed to take me on as a student without having heard my voice, just conversing over email. I guess that is very unusual, but I was so grateful that she agreed. We planned out when I would be able to come and I began preparing flights, accommodations and all the other pieces necessary for travel to the Toronto area (as I live in Milwaukee, but after my training would be going right back to work on a ship sailing out of Venice). The training was amazing. It was hard, the hardest thing I've ever done. I've discovered muscles all over my body I never knew I had before, it's that intense. I felt like I was in boot camp at times, and yet I wouldn't change a thing. I am a very determined person and so when I was corrected for the umpteenth time for the same things I took it as a challenge to learn the technique properly and do it correctly, for me. Diana knows that time is short, just 30 hours in my case, to retrain 40 years of incorrect habits, and so I had to focus and concentrate and assimilate what she was saying in a way that made sense to me. And figure out how to keep doing it consistently in the future. She gave an analogy regarding the training being like learning to drive. As my instructor it is up to her to teach me proper habits and techniques so that I can pass the driving test and get my license. After I have my license I have to continue using those techniques in order to drive subconsciously and well. I can see how that translates to this training and vocal repair. I've now learned the techniques for lifting my voice and it's now up to me to implement it, and perfect it, so that I don't have to consciously think about it while speaking. Picking the right teacher is so important. I have had other speech pathologist friends coach me before and some of what they said helped a bit, but they didn't fix the problem. Mostly it was like just putting on some ointment and a Band-Aid to ease symptoms. Diana's technique allows healing and repair to happen for real. I enjoyed getting to know Diana very much, her heart is so big. She is very generous and giving, extremely professional too during our sessions. She has had some recent personal tragedy and physically she was experiencing side effects of a huge amount of stress. As miserable as she felt between sessions, during our time "on the clock" it didn't seem to affect her at all...it was amazing to witness...and I told her how much I appreciated that absolute focus she gave me despite it all weighing on her emotionally and physically. I am so thankful, grateful, blessed to have found Diana through the internet and to have had the amazing privilege of working with her. I hope to have the opportunity in the future to continue working with her on more advanced techniques as she's now piqued my interest in possibly pursuing voiceover work in the future. I never would have thought that possible, but I've always had the desire to do that line of work and never had the validation that I would be fit for it, until now. For right now though, I need to get back to work and teach cruise guests which mouse click to use! Thank you Diana, Jamie and Chris for making my trip to Toronto an amazing and life-changing experience. Milwaukee, WI USA - Computer Instructor for Holland America Cruises. After 50 hours of the Non-Surgical Voice Repair Course & Natural Herbal and Homeopathic Treatment. My voice problem started 5 years ago from when I was singing in my high school choir. I was overusing my voice and using it incorrectly. I stopped singing completely, and went to see medical professionals who diagnosed me with Muscle Tension Dysphonia, and recommended speech therapy. After trying numerous speech therapy, it got to the point this year where I could barely talk, and very quietly and I had to quit my part time job. Nevertheless, the above-mentioned medical professionals diagnoses ranged from depression with prescribed antidepressants, to Muscle Tension Dysphonia. One of the medical professionals suggested that my voice problem was a disability and that I could get a job that did not require speaking. After trying speech therapy, it got to the point this year where my voice was quiet and I could barely talk, and I had to use a whiteboard and pen as a crutch. As a person who has gone through a voice problem, I can say how its affect on areas of my life was unprecedented. So many people don’t understand or have never heard of voice problems, there is just not enough awareness of voice issues like mine. We came across Vocal Science online and read all the testimonies on the web, then made an appointment to see Diana. She has an extremely good ear, and after hearing me on the phone for the first time assured that she would be able to help me. Diana’s technique meant supporting my voice and lifting my voice off my vocal cords, which would allow my throat a chance to heal, as well as place less strain on the vocal cords which would essentially eradicate my problem as well as prevent future problems with my voice. Her program also included herbal supplements which helped heal my voice. I want people to know that patience and perseverance is important as at first I still experienced discomfort in my voice but after a while, it decreased. As the course progressed I found I was able to talk louder, more clearly and with less discomfort, which was also aided by the herbs. doorstep in the future! I found Diana as a teacher tough, loud and one-of- a kind, but she could be a rock for what I know, because she knows the voice inside, and out. Although we focused on my speaking, I was so surprised that under Diana’s guidance I was able to sing some exercises as well as the song ‘Can’t Help Falling In Love’ by Elvis. I am so happy that even my singing has improved and I hope to continue developing my singing voice in the future. Above all, I am so grateful to have my voice back and thankful we came across Vocal Science after I had exhausted all other options! Its such a relief to have someone to go to if I have issues with my voice, as before I felt so alone and had no idea what to do, so many thanks. Hey there! I have been doing so well! Having so much fun singing! I really feel the difference, it's so awesome! Up and Coming Singer/Songwriter from Barrie, Ontario. Case study ( 14 hour in - vocal course duration). I am now 14 hours into my vocal course at The Royans Professional Vocal School with world-renowned Master Vocal Coach, Diana Yampolsky. 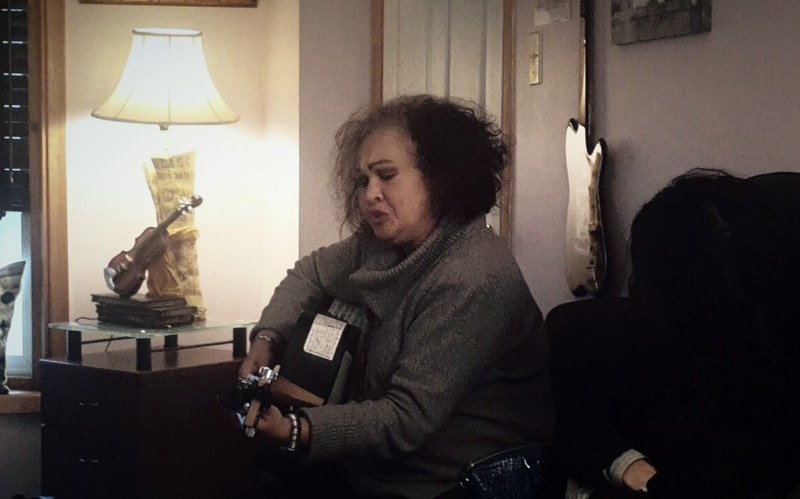 As a musician who has wanted to become a better singer, she is the best coach imaginable for my situation. Not only has this course been drastically helping my singing voice, Diana has made me realize many things about how I present myself in life generally. I never realized how much I mumble and say “like”. It’s one thing to have your friends or Dad tell you that, but to hear it from a trained voice professional really puts things into perspective. My voice goes right to the ground; I speak through my throat/nose and that translates into my singing voice, which also disappears on stage. No wonder some people see me as unconfident, even though I have such belief in myself. After 2 hours into this course, I realized I haven’t been singing properly and that’s why! The last 4 years that I’ve been playing in bands, I have been singing at 20% of my potential. Everything I thought I knew about singing feels like a virus in my head that I must throw away. I sounded all right, but the technique wasn’t there. I would have never figured out proper technique by myself. Not through any 20-minute YouTube video, or reading a book, taking one vocal lesson from some Joe Blow, or trying to take an easy way out. What I need is vocal instruction, someone correcting me and explaining word for word what I did wrong, and how to fix it. Diana literally drills these instructions into my head. She’s a tough Russian lady but I admire her strength and zero tolerance for bad technique. She’s definitely making my skin toughen up. Now that we’ve had a few sessions, I feel my muscles building where they should be with proper technique. I must tighten my lower abdomen, expand my upper rib cage, and use my mouth as an amplifier, and that’s just the surface. It sounds easy, but it’s very difficult to get there. I am at a point where I can tell if I’m using proper technique, and can correct myself, but I still have a far way to go. It’s difficult to sing even a line of a song properly without going back to my old technique of using my throat/nose. The moment I do, I hold the note and try to adjust it until I am singing it right, and then move onto the next word. It’s exciting to see my facial muscles building in a way that completely brightens my face when I sing and talk. I’m starting to look like a much happier person when I talk/sing and that’s a great feeling. I feel such a difference in my throat. Can’t wait to see what the next sessions bring! Please also see Megan's previous feedback on her 20 hour Case Study Vocal Course - Part 2! I had vocal cord damage in 1968 after thyroid cancer. After an unrelated surgery I new immediately that more damage had been done to vocal cords. After a bad fall on black ice in 2013, with brain trauma, more damage was done. For fourteen months I have had very little voice and aspiration with every meal. I found Ms. Diana on the Internet. She called me and we have spoken on the phone so she could hear my voice and to pin point and to know what she could do to fix it. Having a specialist make a personal call to me was a big deal. She sent me five herbs to begin cleaning and healing my vocal anatomy. I started the herbs on Wednesday before Thanksgiving, on Thanksgiving day and every day since I have very little if any aspiration. She won we over with that alone. We met and started voice repair on Wednesday, with me having a very little voice. I had no control over breath and voice together. Day one was hard work, very difficult - you have to decide if you are up to the hard work and want to fix, heal and recover your voice. I have now finished five days. WOW! I spoke on the phone with my daughter on day five and she could hardly believe it was me. She put me on speaker so my son-in-law and granddaughter could hear me. They were shocked at the loud strong voice. I have a long way to go, but have already seen my miracle. I can now eat a meal safely, keep the acid in the throat cleared and speak above a whisper. God has given Diana an innate ability to hear your voice and know where it is coming from and what to do in order to bring it back to again healthy sounding voice. Having seen seven ENT doctors with no one able to help or even trying to help me; I highly recommend Diana. As a primary school teacher, and amateur singer, I enjoyed singing, but years ago damaged my vocal cords by continuing to teach with laryngitis which developed nodes (callouses) on my cords resulting in an airy, hoarse voice. Even after reducing the use of my speaking voice and stopping all performing, it was very tiring to speak during the afternoon and evening. Having been in this condition for more than 10 years, I thought there was no hope. Then, I happened upon a Vocal Science ad. After speaking with Diana, I myself “bit the bullet” and booked a flight to Ontario to attend one of her exploratory sessions. Encouraged by the positive changes that I saw and heard in other attendees’ voices that day, (it’s hard to notice these in oneself) I was excited that I had decided to take a leap of faith and sign up for 3 days (ten hours) of private lessons. After focusing on my speaking voice, my hoarseness was finally gone! No more sore, tired throat. Now I wanted to be able to sing again, and do it the right way. So 3 months later, I returned for 30 hours of singing instruction including coaching for auditions. Be sure to tell Diana what your dreams are from the onset so she can focus her instruction toward your goals. If you really want to learn, my advice is to check out her website at Vocal Science. Give her a call. She will speak to you in person. Put your money toward an exploratory session with her where you will learn some basic fundamentals at a reduced price with the added benefit of learning from others’ mistakes. Once you’ve done this, you will want to sign up for private lessons because that’s where the real work AND the real results happen! Elementary School Teacher/Aspiring Broadway Singer from Florida, US. ( 1 year after completing the 30 hours of voice repair course/treatment & Master vocal coaching ). "In the past, I have studied with a few people and saw a decent amount of improvement, but it did not get to the source. Coordinating the body/brain/voice the way that you do is entirely unique and effective beyond anything I have ever experienced." "My coaches did have some helpful areas, but I knew there was a lot more to be had - the universe heard me and lead me to you." Professional Singer, Former Voice Repair client from Colorado, US. “I can't wait to find out what more my voice has to offer from Diana's class. 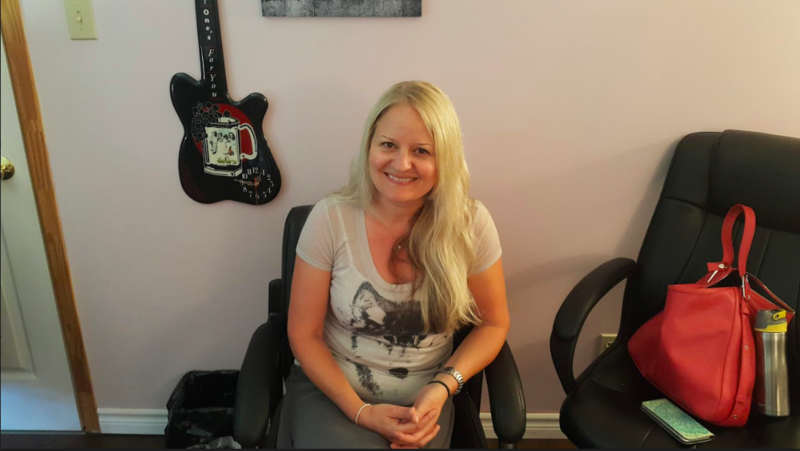 Originally attending the group session in July as a voice repair client & singer/songwriter from Kitchener, Ontario Canada. 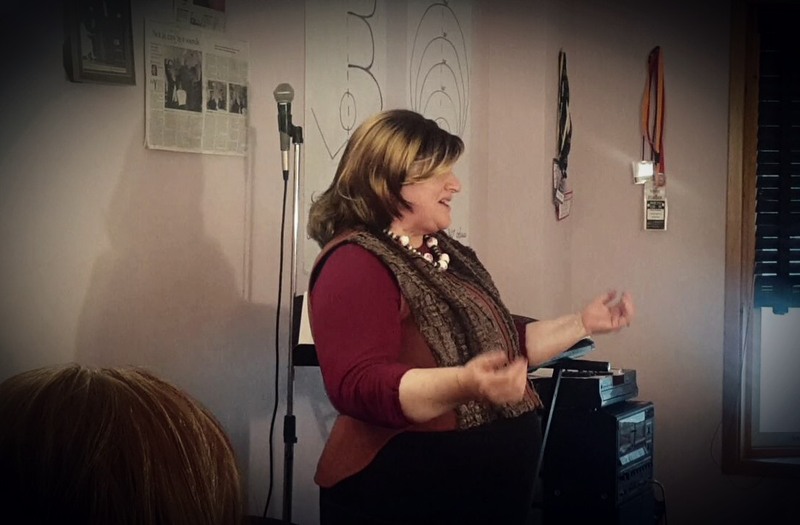 Thank you very much Diana Yampolsky for an amazing--empowering--and technique loaded Vocal Science Exploratory Group Session, December 13, 2015, Sunday. It really flexed dormant vocal techniques and skills only Diana Yampolsky can awaken; as shown on the "before" and "after" video performance of each participant. Thank you very much Diana Yampolsky--here's to wishing you more power and more success cause indeed you make a vast difference on every vocal chord you touch--you are God's miracle--awesome. A very Merry Christmas to you and to the Royan's School of Music and a Happy and Prosperous New year--and all the very best for 2016--a year of magic-- success--love--happiness--prosperity--and much, much more--God bless--cheers and Hugs!!! “I have damaged my voice last year and had a lot of pain in my throat and in my neck. I had to quit singing in my band for a whole year while trying to seek help anywhere and everywhere. I have been through a few medical doctors, Gastroenterologists (who had diagnosed me with acid reflux) ENT specialists and several speech therapists; all to no avail." "After working with Diana for only a few hours, the pain in my neck muscles and in my throat had dramatically decreased. And even before the last 2 hours with Diana, I was already able to sing lead again and was able to handle 12 songs on stage with no difficulty; without experiencing any pain in my throat or hoarseness in my voice!" "I wish I could have the money to stay with you all day here, Diana. I LOVE IT!" 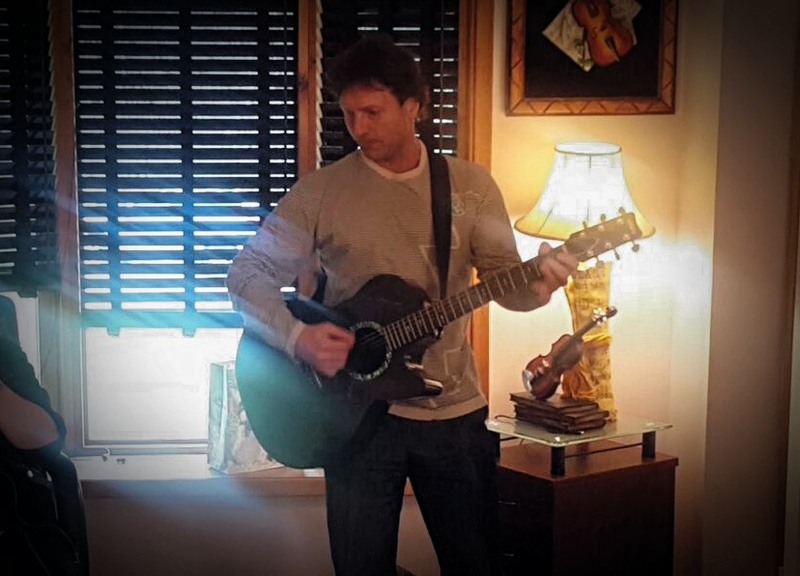 Voice repair client & up and coming singer/songwriter from Chatham Kent, Ontario Canada. John (Before instruction and treatment, as he holds his throat in pain). (After 30 hours of instruction and natural herbal treatment). I don't feel the pain in my throat anymore. Obviously before I placed the notes in the wrong places, and therefore, my throat felt scratchy and very constricted. After all, I had a nodule on my vocal cord for many years. Now I can feel and hear the difference and I can manage it without any pain in my throat. So, it's a big gap - a big difference! Before I am even talking, I feel that I can manage how to avoid putting the pressure in my throat. Another thing is now I am learning where the sound has to go. Before all of this, I had no idea where the sound or where the air had to go to produce the sound. I know now that when the sound is placed in the wrong area, I feel that I am forcing my vocal cords. Now, when the sound goes to the right place, I feel completely relieved and can hear my voice being beautiful and clean. It has a much wider, stronger and solid sound. This is like I have a brand new voice! I did not have this type of voice for a while! I do not remember having a voice like that! Ms. Diana is the best you could have as a teacher to cure your voice as she did with me. "I'm glad I did it!" "It was a great learning experience and I'm glad I did it. I'm happy with where we got to in the time I've been here; it was a great challenge and I got a lot out of it. Of course I'm a perfectionists, but that just gives me drive to learn from the experience and improve"
"Thank you so much for everything". I came from having habits of straining my vocal cords and being very breathy and very frustrated to the point that I couldn't even talk. Nothing came out. And now you've taught me to take the strain away from my throat; to talk more on the cheek level, so that it's not strained as much. And you taught me to raise my voice in that way and I think I have made a lot of progress. It was really hard work. It's one of the hardest things I've ever had to do and I see the progress, Diana. "Was it worth it to come to Canada?" "Absolutely! First of all, I had a lot of hoarseness in my voice which had cleared up after the first 10 hours I took in July with Diana." "Not right away, but when I got home, I said something to someone about it. I said, ‘hey, I just realized that my hoarseness is gone!’ That was it!" "I said, ‘Wow’! And it was exciting to think about coming back to work on my singing voice, which is what we've done for the past 28 hours. And it has been just a series of layers of putting on more and more understanding and then, eventually, putting it all together. We had some very exhilarating moments. In fact, it is exciting to know that it feels like I have all the tools. So now it's just a matter of practicing and, possibly, coming back again to deepen that and further study to make it more solid. So I'm very glad that I came." Two years ago, after recovering from an autumn cough virus, I noticed that despite feeling better in myself my voice remained hoarse. I first ignored it, thinking it would eventually get better. After 3 months, however, I thought it best to get it checked out. The camera they put down my throat showed a little nodule on one of my vocal cords, which the ENT specialist recommended to remove in order to analyse what it was: polyp, nodule, papilloma… I researched on the internet, but on all the German, Austrian, Swiss, UK and American sites I could read, I couldn’t find anything that offered an alternative to the operation that had been proposed. I spoke to a friend of mine, who is an ENT consultant in Berlin and had been head of the ENT unit at one of the best hospitals in Berlin; he also recommended the operation and confirmed that conventional medicine had no alternatives. So I trusted the surgeon and had the operation, I was also scared I’d end up with cancer – according to the surgeon a rare possibility if nothing was done. Apparently the growth was a papilloma, a bit like a wart. After the operation, I had total voice rest for a couple of weeks followed by private speech therapy, which I had to finance myself. I blew bubbles, learned how to breathe properly, did inhalations three times a day, meditated, but my voice didn’t get much better. In fact, what had been a hoarse voice had now become a painful horse voice. Being a freelance Business German teacher, this was not good news. I decided to just get on with my life until the next routine check-up with my ENT surgeon. The check-up a year later found that the growth was back, a second operation was scheduled. According to the surgeon, most cases were finally clear after the second operation. Again, I went for the easy option, again with the same result. Speech therapy for a second time… this time with a different therapist, but with the same result. My voice was getting worse, I had to reduce my teaching hours to almost nothing, as my voice just could not cope: it hurt and got tired very quickly. Singing lullabies to my little boy were a thing of the past and I now even struggled to read him a good night story. I was drifted further and further away from the person I had been and while saying I was depressed would probably be exaggerating things, I was far from happy with my life. On top of all this, my surgeon told me that when he operated he actually found 3 growths, of which he had only been able to remove two, as it was not advisable to operate on both vocal cords at the same time. Having had 2 operations, I was now labelled a “chronic patient” and referred to a different ENT department, one that dealt with chronic conditions. My new consultant recommended a third operation, although he did admit that each operation would cause scar tissue and reoccurring growths would then regrow deeper in the tissue, making speech problems more likely in the future. A career change seemed almost inevitable. In absolute despair I contacted Diana again, who had still been at the back of my mind, but the distance and cost meant I had “shelved her there” without taking further action. She told me she'd not be able to do anything about the growth and her treatment wouldn't heal them, but said she could lift my voice so that the area where the growth was would not be aggravated with each word I spoke. Together with a selection of herbs this might give the body a chance to heal itself. She made it quite clear though, that the only thing she could definitely do was to lift the voice and hopefully end the pain I was in when speaking. I agreed, and Diana actually travelled to London in July 2015 to give me 20 hours of voice repair. I got introduced to her technique, understood the principals, but was far from being able to consistently produce the lifted sounds. I did believe, however, that I was on the right track and when I did manage to lift the voice, there was no pain whatsoever. I suddenly had hope and although I hadn’t reached my destination yet, there was certainly an improvement. I was able to project my voice much better during the few lessons I was still teaching and could even read my son bed-time stories again without being in agony. Diana offered to fly out to the UK in September 2015 again if I wanted another 20 hours. Having just finished my second course in the UK with her, I can only say Diana is brilliant! I was treated by 2 supposedly brilliant ENT specialists and 2 different voice therapists before consulting her and have to say that Diana is the only one who made any difference whatsoever. I so regret that I wasn’t willing to spend the money for her course straight away. Her course is certainly not for the faint-hearted, it’s hard work and it takes time, as you’re effectively retraining your brain to produce the voice in a different area. I would lie if I said I never had moments of doubt – after the first 20 hours I thought I’d never be able to get there unless Diana was in the room with me, guiding me. Despite being a very patient person, I also sometimes felt my progress was too slow. Living in our fast-paced world, I part expected to pay the money, press a button and be better! Unfortunately that’s not how it works… Erasing years of speaking habits from your brain and reinstalling a different way of speaking simply takes time and repetition. I was halfway through my second course with Diana (after approximately 30 hours of voice repair), when something suddenly clicked. By that point I had also read her book “Flight to the Universe” and suddenly it all made sense and I seemed to have reached a different level of understanding. The next day, I was much more consistent in finding the channel within my mouth where speech flowed easily with no pain. Diana Yampolsky is definitely the “real deal”. She is a true Russian soul: loud, boisterous, opinionated, but also one of the warmest, most kind-hearted and honest people I ever met. Now that I know her personally, I know she would never lie about her ability or take on a client she didn’t believe she could treat. If she didn’t think she could help, she would tell you outright. Her holistic approach also means you have to be prepared to “open up”, as most physical problems can be traced back to psychological, emotional issues and unless you resolve them, your body cannot heal. Diana knows the voice inside-out and when she is in “teaching mode” her years of experience are evident in every second. Working with her, I was amazed every day at how she can hear where exactly you produce a sound. Not only can she tell you if it’s the right or wrong place, but she’ll even tell you exactly where you produced the wrong sound and what you need to do to get it right. Her methods bypass your consciousness and guide you to the right place. I have to admit, that in the beginning it wasn't always evident to me, what she was trying to do and I just followed her instructions without asking too many questions. I'm so glad I did! After about 30 hours, I felt I had a real break-through and all the hard work was finally starting to pay off. Diana's professionalism, expertise and good humour have brought me to a point where I’m expecting to increase my teaching hours again and above all, I have hope! Yes, it seems expensive, but I have to say that every penny for me has been worth it (and the money that I and my Health Insurance paid for my 2 operations and speech therapy before amounted to more or less the same with no results whatsoever). Yes, it is hard work and it does take time, but after nearly 40 hours I’m amazed by the difference in my voice, and in hindsight it doesn’t seem such a long time at all to achieve what we achieved. I can only recommend Diana to anyone with voice problems. – Diana can guide you along the way, but she can’t do the work for you. 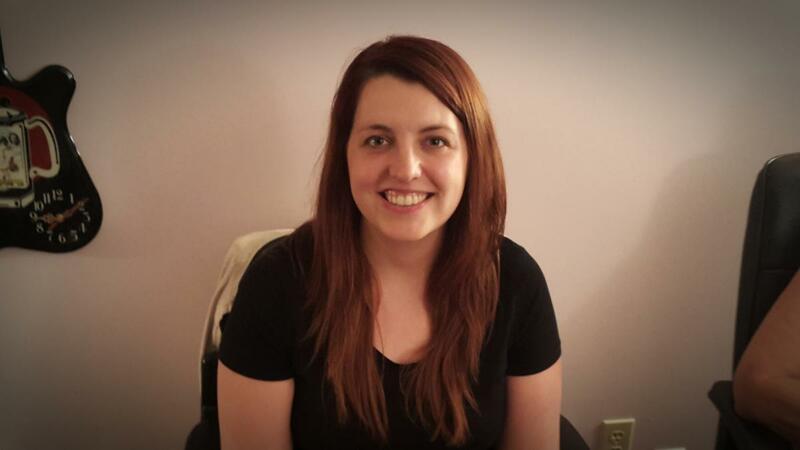 “I was very impressed with Diana’s energy and approach to teaching. This is not a coach teaching just style and technique, but a teacher developing voices and attitudes with a new concept. I learned more about the voice in the last 3 months than in a lifetime. It was inspirational." I was at the point where I was losing my voice. I went to doctors and was in danger of losing my voice permanently. So I said I have to get some help here. All the doctors believed in drugs and surgery and I don’t believe in that stuff. Somehow I was looking through an Actors Union publication and I came across Diana’s name. I went over (to ber studio) and within the first 30 seconds of my session I was talking without pain. She also suggested some natural herbs for me that were not drugs and thank God I have my voice, and I can talk. Nationally acclaimed leader of the “Wealth Builder” seminars (successfully cured from the loss of his voice). I just wanted to give Diana a shout! I haven't talked to her in years and I thought she'd be proud - I've released two EPs in the last few years! I hope you are well Diana and looks like you are doing amazing, your list of clients is impressive! 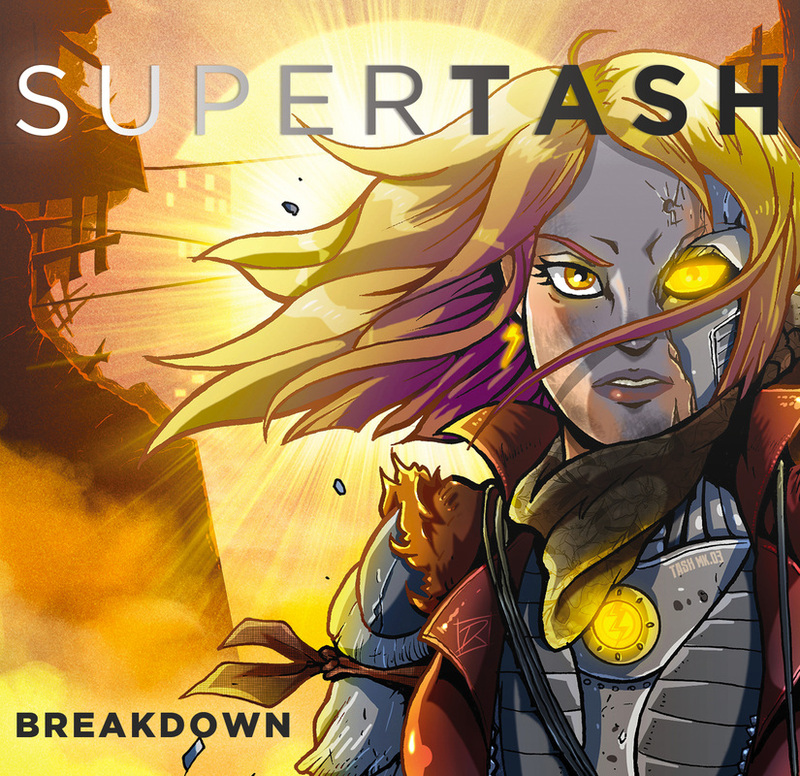 I go by the stage name Supertash! If you're looking to become a better singer (or even just sing better than where you are at), or if you'd like to improve your speaking skills (including pronunciation, finesse and power), I highly, highly recommend taking lessons at The Royans Professional Vocal School. I myself had been working with singers for many years, having them sing my songs. Although I could sing a little bit (and carry a tune), I couldn't sing the way I been hearing within myself. To make things even more difficult, I had been straining my voice by singing the wrong way for many years. I tried so many teachers, especially the ones who used the "One-size-fits-all" approach with some other methods of training and yet, I ended up hurting my voice in the process (even though these teachers and trainers would say I was doing things the right way.) I then met a friend who sang amazingly, even to the point that she could sing so many hours without damaging her voice - and she was very consistent. I wanted to know how she got to that point. That was until I discovered Diana of The Royans School, who was her former coach/teacher. Diana has trained a lot of amazing stars and one of them that caught my attention was Raine Maida of Our Lady Peace (back in the day.) When I finally booked my appointment with Diana, my first test lesson - she already could hear where my problems where within my vocal anatomy. Seriously! She really knew where it was just by hearing me sing. Then helped me apply a solution based on my own anatomy, ratio and body structure. I sang a couple of times with the new approach and suddenly, I could feel the freedom. My voice didn't hurt! In that instant, I wanted results, so I told her I will not waste time - let's do this! And the rest is history. Diana has the ear and she has the spirit - no other teacher could do what she can do. Plus, she understands the holistic health approach. Being a health and wellness practitioner, this was very important to me and Diana was the right one. It was the best decision I made because after 13 years, I still can sing with power, application, spirit and most of all, without harming my voice! She will give her all holistically. It's very important that the student is ready, because then the teacher will appear. I was ready and I believe God pointed in the direction to Diana. But most of all, 13 years later, she gave me confidence, she taught me to respect myself. She is not only my singing professor of long ago, I am proud to say that she is also one of my longtime, kindred friends. 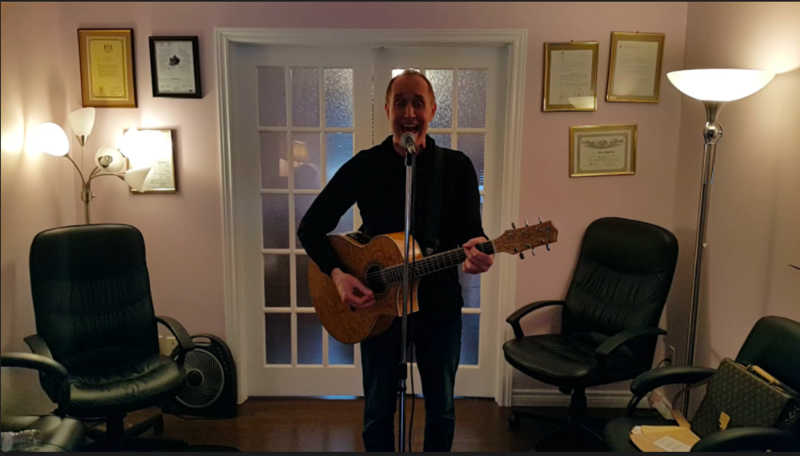 If you want to sing, or speak with confidence and clarity and power, I recommend never hesitating and just do it - check out Royans school and trust me, it is worth it. One of the best investments I ever made for my music and life. Love you Diana! "After completing Diana's 30 hours of voice instruction and natural herbal treatment, I literally feel like I have been "REBORN"! From being 100% incapacitated from muscle tension dysphonia (MTD), and from literally being suicidal, not once, but for four times, from this condition, there are NO words to explain how her treatment has affected me!!! Her program is an all-encompassing, life-changing, earth shattering event!!! It is literally comparable to a "BOOTCAMP"! I know this as I have completed an 11 week "BOOTCAMP" with the Canadian Armed Forces! I came away from both "camps"with the new-founded, increased level of self-esteem, confidence and self-worth. And also, IF I MAY BE SO BOLD as to state that I challenge anyone, of any age, gender, race and/or religion, whether or not you want or need vocal repair or enhancement, to complete Diana's 30 hour program! This program will improve, dramatically, your whole being, including your physical, emotional and spiritual aspect! As a matter of fact, I believe both "BOOTCAMPS" should be mandatory!!!! This would enable each person to actually see what they would be able to accomplish, for them self!!!!!! 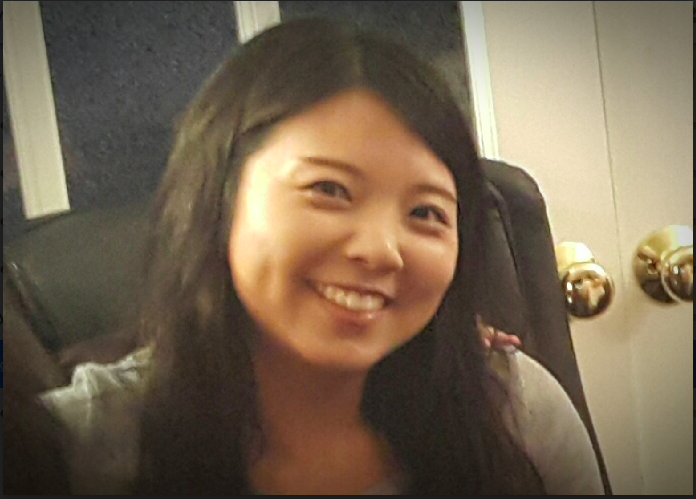 In conclusion, Diana's 30 hours of unique voice instruction and treatment has given me back my LIFE!!! And she has restored my SANITY!!!! Her program is literally PRICELESS!!!!!" "After finding and reading Diana's website, I, at first, completely dismissed it, thinking, "This is TOO GOOD to be true!" 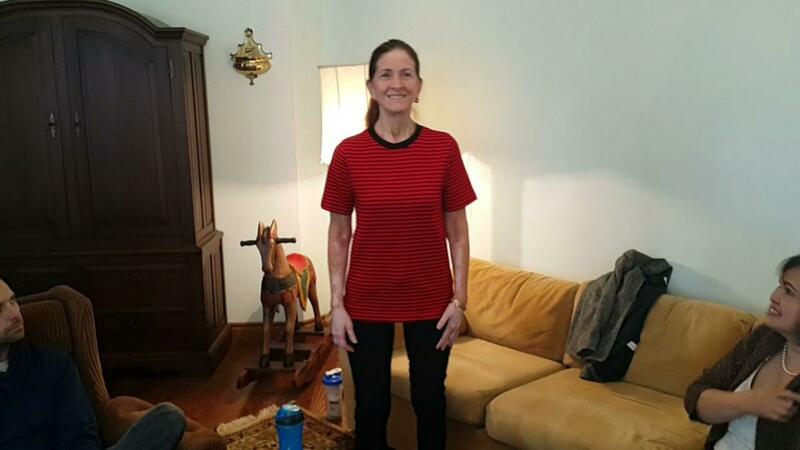 After continuing searching the Internet to find ANY solution to "cure" me from my 18 years of hellish MTD (muscle tension Dysphonia), I came back to her site. I called Diana, and immediately "KNEW" she was going to be the "REAL DEAL" I have booked 30 Hours with her, and to date, I have completed the first 10 Hours of this program so far. It is hard to put in to words, what I have already experienced, throughout this program. She has enabled me to reach "A Whole New Level" of living! Her program is life-changing! She has not only worked on my problem of "hurting whenever I talked", but she has completely given me a "whole body work over" and a whole new outlook on life. I have already experienced being able to talk, using my facial muscles, instead of my throat muscles, without pain! My whole outlook on life has changed! I have HOPE! My confidence has increased, and I feel like my life is just starting! (I had already tried several regular medical doctors, several medical specialists, several alternative healers, including hypnotherapy, magnets and holistic doctors, without resolution). BELIEVE ME! SHE IS THE "REAL DEAL!"! "Diana Yampolsky has created the most unique and effective method of vocal repair/teaching I have ever encountered-- the claims made are true, results do happen within hours, not days or months. I have worked with her and the results have been all that I had hoped for and more -- and those results continue to multiply and grow – after studying with her you also leave with the tools needed for maintaining and continuing your vocal growth and repair. One of the things that I, and I'm sure others, wondered about before working with her was if her method and results could be accomplished by video-conferencing (Skype, Face Time, etc.) but minutes into the first session I realized that was not possible and that it's an in person training on a much deeper level that necessitates Diana being with the student. I can't thank Diana enough for what she's done and I highly recommend anyone suffering with vocal issues, especially those looking at a diagnosis of vocal surgery to check her out. I am only one of the thousands of voices she has helped to keep from being silenced and I am eternally grateful." Professional Singer, Voice Repair Student from Colorado, US. I'm very happy to talk to you about my vocal experiences and answer your questions. I began having vocal problems when I began studying with a singing teacher at an arts college, in September 2011. 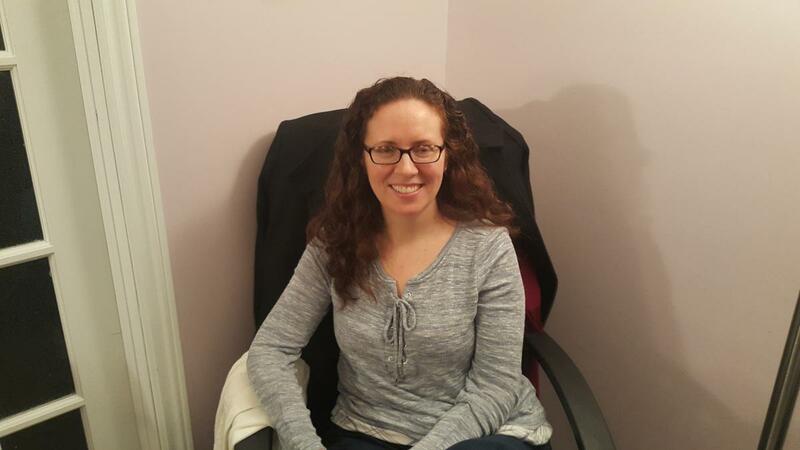 Within 5 months my voice was almost completely ruined and I was diagnosed with muscle tension dysphonia, I then began seeking specialist help which led me to Diana. I travelled to Toronto just over 2 years ago and within the first session I could see and hear that Diana's technique was going to bring about not only the recovery of my voice but the advancement I'd been striving for. Not only is it doing that, but so much more quickly then with so called scales and vocal exercises that the majority of teachers rely on. I can say I haven't looked back since studying with Diana, my voice is recovered, we have achieved 2 professional recordings and I graduated with top marks from my college. My current plans are to audition for Opera School and this will be the culmination of the work Diana and I will be progressing next week in London. Personally I can't put a price on what Diana has given me, not only my voice back, confidence and holistic care, also with the help of herbal treatments to aid the vocal recovery. Diana's treatment is 100% natural and with the applied technique your voice is always protected from damage due to wear and tear from incorrect use. I hope this answers your initial questions, it would be great to talk further if you are in London next week, then you can see and hear for yourself. Former Voice Repair Client, Opera singer from the UK. Still working on projects to come back to Toronto, as soon as I can. Former voice repair client from U.K., commenting on the blog: “What does it take to learn how to sing well?”, and sharing her success achieved after her voice repair and singing courses with us. continue! Can’t wait to see you and catch up. 24 year old female. 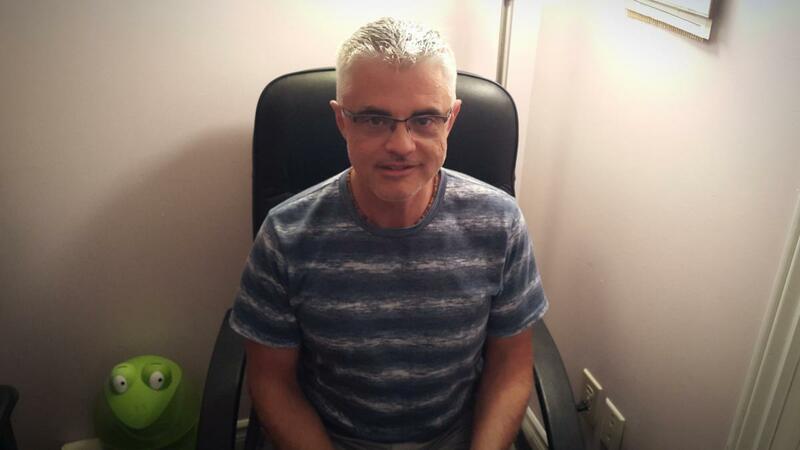 MTD (Muscle Tension Dysphonia) sufferer from Ontario Canada. "Thank you for taking my call today, it was a pleasure to speak with you.As mentioned, I read your book, "Vocal Science-Flight to the Universe" last weekend. Since I am located in Southern California, I was hoping you offered an on-line training coarse when I called this morning.After the converstaion with you, I will look forward to speaking with you again very soon and hopefully meeting with you sooner than later. ""Last Thursday I was searching for more information and your acid reflex article brought me to your web site." "After reading your publications and then your book, I was reminded about my breathing, my head tones and where I was placing my voice. Your description of "lifting" the voice off the vocal chords, placing it in the cheek/sinus cavity and "sucking" air was a blessing because it automatically removed some bad habits I had formed. 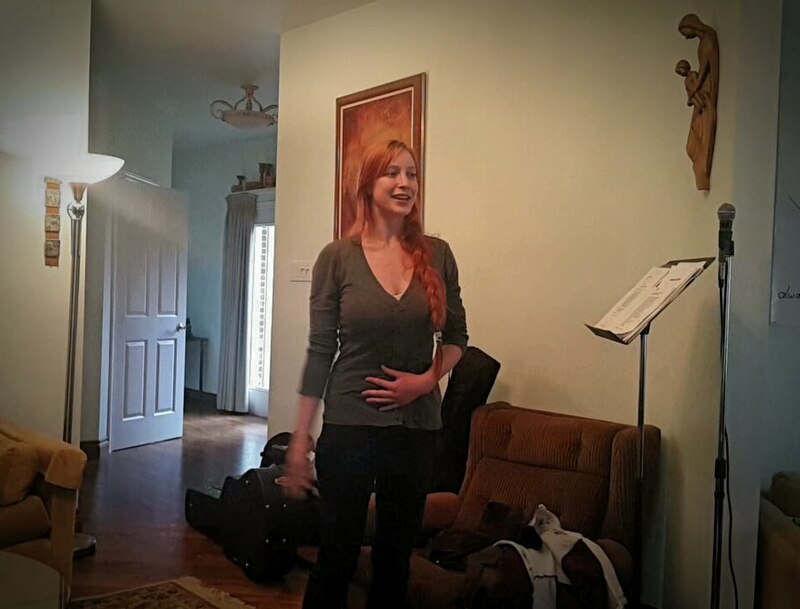 Your technique of placement and breathing instantly helped me as I practiced through the remainder of the week and as I sang on Sunday." "As you know, I called this morning to see if you have an on-line coarse. Thankfully you answered the phone and I was privileged to speak with you. I will also begin to use the herbs you mentioned in your book and read the blog. I thank you for all you do. It has already helped me immensely!" P.S. I have improved so much, especially through such a testing time as with the dysphonia. They say how resilient I have been, and I have an appointment at the beginning of April with the Doctor who will oversee the detox. Things are definitely looking up Diana I can feel a change in the cosmos! Recovered voice repair client/opera singer from the UK. I am writing to thank you for helping me achieve my dreams this year. You made the impossible, possible. I never would have believed over a year ago that I would have recorded 2 songs, started auditioning in London and finished it all off on Thursday at my Christmas showcase singing a top 'C'. My whiskers have grown really strong like a true tigress, and the hours working on Vocal Science technique, have done everything you promised and more! Next week I will be enjoying singing Carols, something I couldn't do last year, yet day by day I have improved and continue to do so with my singing and speaking, it goes to show hard work pays off.I will be enjoying the holidays like never before, with plans to make in the New Year, as more opportunities present themselves, that I am able to pursue. Wishing the best holidays and a Happy New Year to you and all at the Royans School. I just finished this year’s Picnic in the Park. It is Hong Kong's big outdoor festival. It went much better than last year and we had some people tell us we were the best act at the show, and there were probably twenty bands there. So, things keep moving in the right direction. People who remembered me from last year all told me my vocals are much improved from a year ago. Your talent in teaching and coaching me continues to pay off Diana!! I now have two different bands that want me to sing for them and they are both very talented! Thanks for all of your hard work Diana! I look forward to our next work together. It was a pity that I got sick this time and couldn't record, but as you know, I always come back! I have taken many lessons In Japan and the US, but in spite of that, I still couldn’t find the best way to learn how to become a singer. When I decided to take this trip to US and then Canada, I could not find an accredited music school in Canada. Therefore, I ended up first in the US at the Berkley’s School of Music, but, spending a lot of money, unfortunately, did not get what I was looking for. All together, I was ready to give up my dream. Then, being in Canada, I still decided to search for something else, hoping that, maybe, not all was lost. I attempted to go to two other music schools, and still did not achieve anything; however, the price was “right”, but the lessons were definitely useless. They were extremely boring and still, vocally, lead me nowhere. Finally, I landed at the Royans Professional Vocal School and never looked back. Before, I was afraid to speak and sing in English, and now, I am doing it and feeling quite at ease. I even try to sound professional with better English pronunciation and I’m sure if my stay in Canada would soon not come to the end, I would probably be able to sing well and, maybe one day, even be able to teach singing myself. Thank you Diana for giving me hope that, in the future, I will be able to achieve my goal. I’m certainly aiming to come back to obtain more hours to understand and apply the Vocal Science technique in my singing, because now I know that it really works. Amazing experience! I have been taking lessons somewhere else where I was taught the conventional vocal technique. And as a result, not only that I haven’t learned how to sing, but, at all times, I have experienced vocal fatigue and constant pain in my throat. Needless to say, I was unable to reach any high notes, and when I tried, my voice was cracking like crazy. Then for about 10 years, due to the lack of confidence and my dry and completely shut-down throat, I quit singing all together and packed away my dream. That made me very unhappy and very sad, as singing has always been my passion. Recently, I have joined Vocal Science, offered by Diana Yampolsky at The Royans School, and I never looked back. Not only it brought my voice back, but I became happier overall and was even able to record my first demo song. I am looking forward to the new heights. Thank you Diana for helping me reclaim my life back by realising my life-long dream. Up and coming pop singer Toronto. I have performed twice at college and the tutor said the sound was much fuller and bigger which is high praise from this guy! Anyway I'm so excited about the next part of this project working with you Diana is a dream come true. I have to say it has been the making of me meeting you Diana in more than just the voice. Can't wait to catch up with you. The people you’re working with, myself included are blessed for your presence. Successful Completion of non-surgical voice repair by one of our well appraised, recovered voice repair client/opera singer from the UK.
" I have had many vocal coaches. Diana is in a league of her own." Cathay Pacific Airline First Officer based in Hong Kong. "I cannot put a price tag on your instruction, as I don’t feel any more strain on my vocal cords or pain in my neck. It’s all gone and it is priceless! I will be coming back again soon, as I want to participate in ‘The Voice’ I also will be saving money to buy a licence to teach the ‘Vocal Science’ technique. People everywhere would definitely need it. Professional Singer from Hagerstown, Maryland USA. 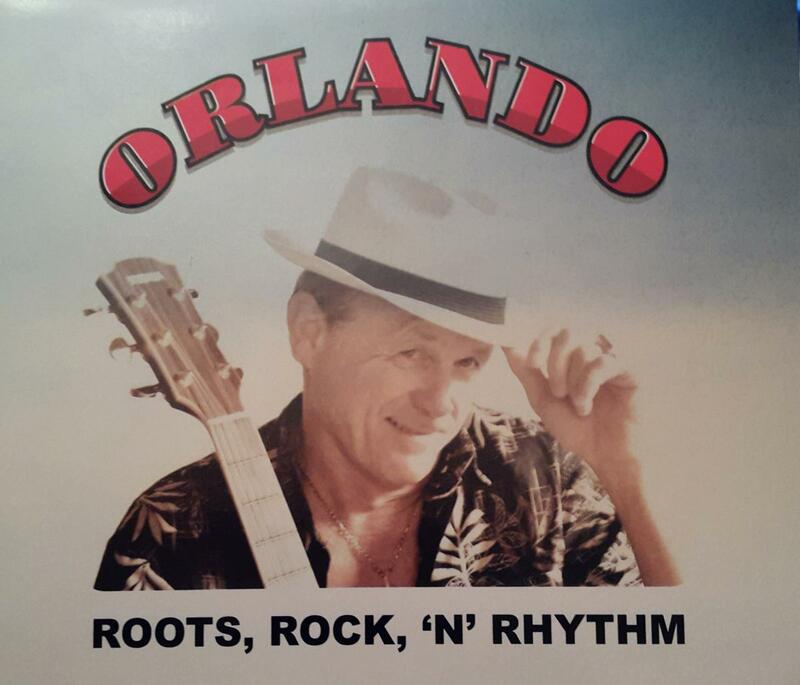 "Speaking of which the songs I can get a professional recording done as I have found a company that do them, one will be O Mio Babbibo Caro the Puccini aria but I have been looking for a 2nd song, that is in English and more contemporary, with a beautiful angelic quality, and cant seem to find anything that sounds right. I was wondering if you had any suggestions? I am also able to sing more difficult arias then ever before this is like WOW!!!" Evie Bonella Classical Singer The Full Success of the voice repair from the UK. The last chapter of Evie Bonellas' voice repair Journey. "Always happy to share my experience with Vocal Science. So yes, pass on the details to everyone who is in need of fixing their voices. As for my voice, it is strong and repaired. 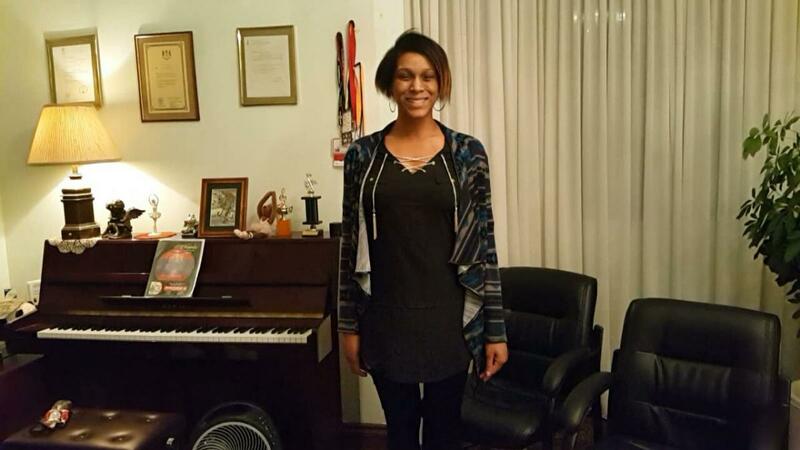 Now, it just needs training with you"
now on her way to us to help her to pursue her professional opera career. 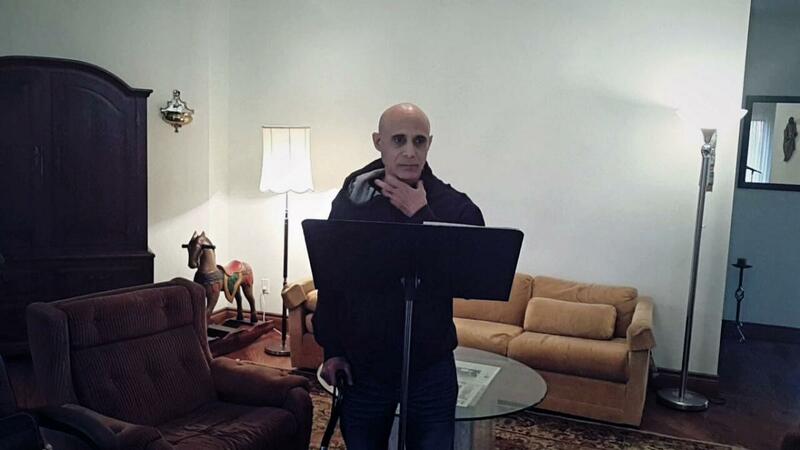 "Always happy to share my experience with Vocal Science. So yes, pass on the details to everyone who is in need of fixing their voices. As for my voice, it is strong and repaired. Now, it just needs training with you"
The Full Success of the voice repair from the UK. The last chapter of Evie B's voice repair Journey. I've had the privilege of studying under two junior instructors and Ms. Diana Yampolsky herself at The Royans Professional Vocal School located in Toronto, Canada. I can unequivocally say that Diana Yampolsky's accelerated vocal development system and coaching is world-renowned and first-class. Her top-notch methodology is rooted in proper biomechanics; conscious-to-subconscious motor skills development; visual imagery and visualizations; neural re-wiring of the brain. In laymen's terms, this means a complete change of who you are emotionally, mentally and even spiritually when it comes to singing. You will sing at a high professional standard (clear pronunciation of words, proper pitch, placement, projection of the voice) and a experience fundamental change of who you are as a person and how you view yourself. I recommend Diana Yampolsky to anyone who is serious about vocal development and singing. 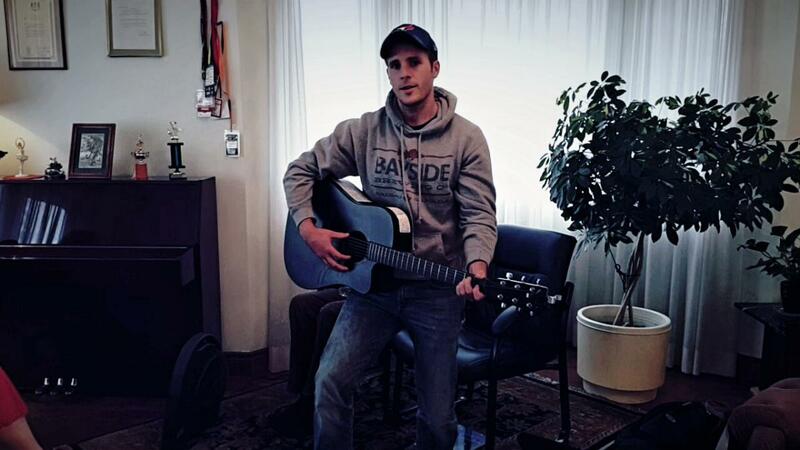 Up and coming Singer-Master Bombardier, Canadian Forces. I would like to express my sincere gratitude to Diana for teaching me a whole new way of speaking. I have taken an expedited speech repair course with Diana while doing my undergraduate degree in law and business. The techniques that Diana taught and practiced with me completely changed my vocal delivery mode and the way my message was received. This in turn had given me great confidence to participate in legal case competitions, academic seminars, and workshops. Today, I work for the Ontario government in area of workplace injury compensation where I am required to respond to clients’ needs by providing policy clarification, mostly over the phone. Being able to clearly and comfortably deliver the message is an important part of customer satisfaction. My future plans include graduate or professional academic training in the area of personal injury law. I would highly recommend speech repair training to everyone because it significantly expands one's professional opportunities. Natalie Grebinka; WSIB Central Channel Solutions - Claims Administrator. “Vocal Science, Flight to the Universe”. At that time, I was young and naïve and I thought that by reading the book, I would learn how to sing. I did not, as the book could not speak back to me and correct me, but there were some concepts which I could adapt and I found were very useful. Now, I came to the Royans Professional Vocal School to really learn how to sing. My time spent at the Royans School has been invaluable. The things I didn’t even know I was doing wrong were addressed and corrected, and now my sound has more power than it ever had before and with no strain at all. The main reason I came to the Royans Professional Vocal School was to find a solution for my soar voice after singing or doing a show, and I have to say that I have found it! I am not only a new singer; I am a new Man because Diana was completely honest with me about a lot of things that were affecting my singing that I would not have noticed, such as how my diet was affecting my voice, as well as my posture and overall attitude. My advice would be that if you want to become a professional singer, then you DEFINITELY NEED to talk to Diana! Up and Coming Singer/Song Writer from Bahamas. "We were both impressed with your true commitment to help. There are not many out there that really care whether what they are doing is helping the patient, as long as they get their money, but you were different in that; you were really committed to helping her and we thank you!!!!" "For anyone seriously interested in voice, Diana Yampolsky is THE quintessential teacher. I wish I had come to her first. Like many people building a career in the performing arts, I needed REAL results, delivered FAST, and The Royans School was and is the place. Diana's method can actually produce miracles using logic and practical application. (Seeking such a miracle, I actually drove direct from Nova Scotia to Toronto for the sole purpose of Diana and her training.) Thanks to her generous nature and dedication beyond compare, she allowed my voice to take flight. She will absolutely give all her clients the "edge" above others, (so much so that I probably should be keeping her a secret myself!) Just the same, if half the music teachers of the world had half the gifts of Diana Yampolsky, the whole world would be sounding a whole lot better." "Diana, I can't thank you enough for teaching me your revolutionary singing method. I enrolled in your 10hr Sing-Like-A-Pro class a couple of years ago. Since then, my confidence and ability rose to new heights. I personally thank you for making me the singer I am today. I previously embarked on traditional singing lessons, but a major improvement started after I took instruction from you. Your one-on-one lessons were invaluable, unique, and simple in concept. Every time I sing, I visualize and place my sound as you taught me. I can sing any type of music - pop, country and rock. Since enrolling in your class, my sound is clear and powerful, without all the strain on my vocal chords. People think I have been singing all my life & are quite suprised that I have only been singing a few years! I remember being in your North York studio on the second day of my lesson. I was shocked and astounded when your method "kicked in", as you say - "My computer chip was re-programmed." I experienced not only hearing sound but also "seeing" sound! As I achieved proper form, placement and projection - I actually "had seen" music energy flowing from my voice! It was unbelievable, spiritual, and absolutely incredible. I remember looking at you and saying, 'Did you see that!" You smiled enthusiastically and said, "You got it!" 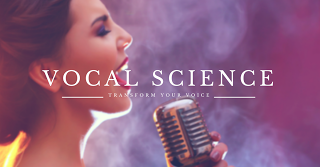 Your Vocal Science method literally generates, captures and releases this incredible energy force from the human body. To realize sound on this level is an absolute heaven-sent experience. I have been very busy singing and the future looks bright. I have sung at all sorts of functions including: Weddings, Fashion Shows, Anniversaries, Outdoor Music Events, Christmas Parties, Halloween Parties, Company Parties, Grand Openings, Charity Events, Restaurants, Pubs, Hospitals, and more. I have become successful in my music ventures and actually quit my full-time job to pursue my music goals. I highly recommend your method of teaching when people ask me how I learned to sing. Your method taps into something beyond the ordinary!" "When the topic of vocal coaches comes up, Diana's name is always at the top of the list." "Before when I was in the studio singing all those lines going up & down I had always felt flat..."
Question: "Do you feel that this concept is right?" "Vocalists I have referred to Diana have always shown improvement." "I was sent here after it was pointed out that I have a pitch problem... After only four lessons, I had a show where Sebastian Bach of SKID ROW was present. The first thing he said to me was "Wow, your pitch is great...!" "I started training with Diana a little over a year ago. She changed my life. She offered me great challenges but more importantly she helped build my confidence back up so that I could move forward in my life. When I first walked in to her studio I was a bit intimidated. Here was this very talkative, confident person and me being very shy and very quiet. Diana had this loud voice and eyes that seemed to look right through me. I felt as if I had to tell her nothing about myself because she already knew. My training originally started with speech in hopes of moving onto singing. I made it to the fifth session when I was confronted with the dreadful truth from Diana. She told me that she could not help me, and that she would refund my money. She suggested that I move on to something else. My heart was broken. I drove back home crying all the way. As the week passed my sadness turned to anger and I called Diana and told her I wanted to continue with the speech training. This was my turning point. At the time I did not understand why Diana said what she said, but I certainly do now. She was reaching inside to bring out who Joy was, and that was a fighter. I worked hard for the rest of the year and finally hit a point where I could sing and speak with confidence. Over that year I gained new confidence along with a new job. I continue on with these newly found traits. Diana has not only been a wonderful teacher to me, she has also been a great friend. I am lucky to have crossed paths with her. As Diana often expresses in her classes...Thank God For The Blessing!" "After one hour Diana was able to instill in my singers a level of vocal presentation which they had previously been unable to reach in all their career." "To Diana, the world's greatest teacher! THANKS so much for all the help." Question: "Did you find the instruction was helpful to you?" Answer: "Night and day...there were a lot of things I didn't know... I couldn't sing for long periods of time, and if I did I'd get sore throats. If I'd do two nights over an hour and a half in a row, for three days straight after I couldn't even talk. Now I could do three hours, three hours, and three hours and I'm fine. I could do three, four, or five nights a week... no problem." 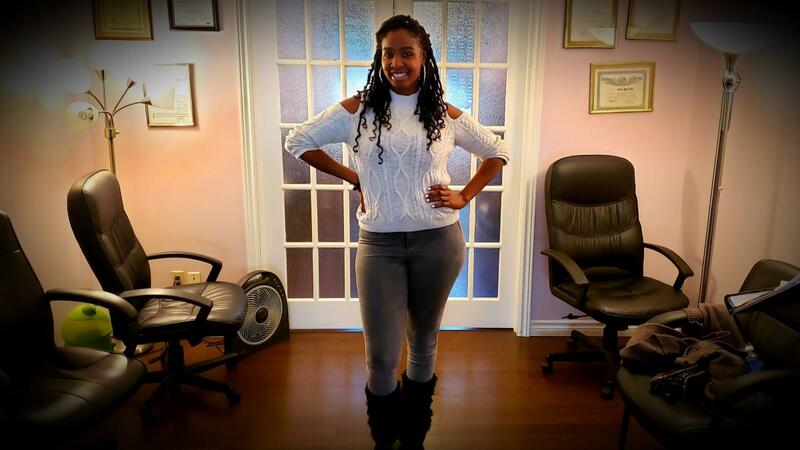 "After taking Diana's course, I now feel more comfortable and confident as a singer. She taught me techniques that have helped my projection, pronounciation, and stamina. Before taking the course I couldn't make it through a 2 week tour without my voice feeling strained but I'm sure I could survive longer now that I have been properly coached. Diana was an absolute pleasure to work with and it is obvious that she truly cares for her students and wants to see them succeed to their maximum ability. I would recommend the vocal science course to anyone who wants to become a more capable and confident singer." "When I first picked up the Vocal Science: Flight to the Universe book, I couldn't put it down and finished it in one sitting. I was absolutely amazed that this book was contradicting everything I had ever been taught in the past about vocal performance. I wasn't even sure I could believe everything it said until I completed the vocal science course and discovered that all the techniques in the book actually worked! Everything from the facial muscle techniques to holding your stomach in actually made my voice feel stronger and allowed me to project my words more clearly. This book definitely provides a great starting point to anyone who wants to learn how to sing to their full extent. It's also quite funny and entertaining throughout!" "I just wanted to say thank you for everything that you've done, both professionally & personally. You have taught me so much & your technique is priceless. It has taken me to a level that I could only dream of. You've been able to transform me from amateur to professional over night. Many, many thanks. You've been my angel." 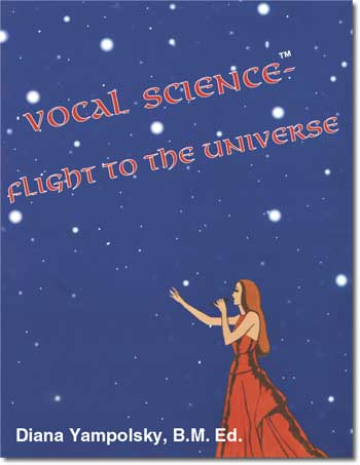 "I would like to thank Diana for her wonderful book "Vocal Science-Flight to the Universe". The principle of her innovation is something different but comprehensible. Her book brought a holistic approach to vocal training and to a professional voice user. 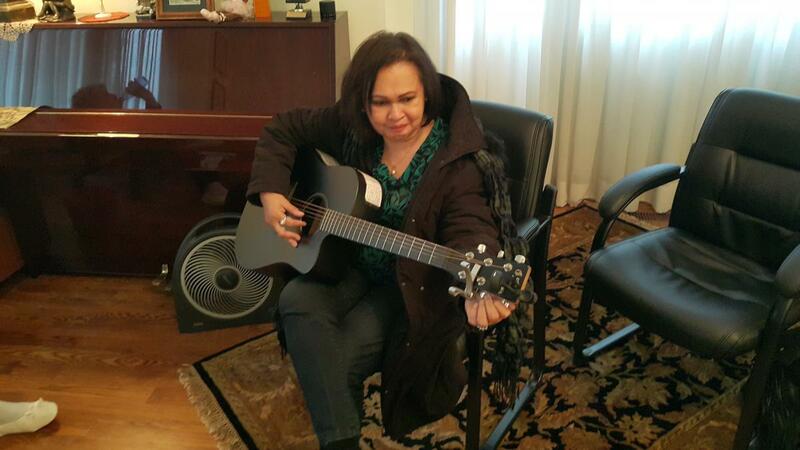 It's very helpful for my career in my voice clinic and also my sideline in music." 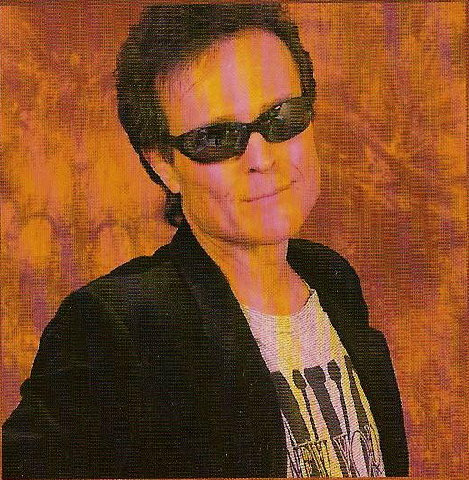 "I came to Canada in 1988 and started immediately working in various clubs and restaurants as a bass guitarist and vocalist. Each night I could barely sing four or five songs at the most and the quality of my vocal performances always left something to be desired. However, in spite of this, I always felt that I had some vocal talent, but that I had no idea how to use my voice to its fullest capacity. In 1991, I left show business and I went to work in a totally unrelated field for nine years. Within that period of time I never sang or played. This year (2001) I understood that I really wanted to return to the stage and do what I really love to be doing, but I also realized that now it would be much more difficult than it was 10 years ago. First of all, there are not as many venues for live musicians as there were previously; 90% of the clubs are now using DJ's or offering karaoke. I was afraid that as a bass guitarist I would not be in high demand. I quickly learned that most opportunities went to musicians who could also sing as well as play. Therefore, I decided to try and build a singing repertoire for myself. With the help of my musician friends I collected a lot of material and started singing it without really knowing what I was doing. As a result, I damaged my vocal chords and my throat and not only could I not sing, but I could hardly speak. I was referred to an ENT doctor who helped me recover my speaking voice but who also informed me that I would probably never sing again. Very luckily for me, somebody referred me to Diana Yampolsky. The references were very positive with regards to her as both a Voice Repair Specialist/Vocal Coach as well as a person. Upon our first meeting I learned that she is a very strong teacher and a very strong vocalist and that what Diana was going to teach me was very innovative and revolutionary. After the interview with me and after listening to my voice and examining my eyes (Diana does irridology as well), she said with absolute certainty that not only would I able to sing again but I would be able to sing very well! Not hesitating a minute, I decided to take the Vocal Science course that Diana was offering me. "The very first and foremost thing you need," said Diana, "is to undergo the speech development course and along with it you will need to take some natural herbs and remedies." And indeed this allowed me to speak and sing without any pain. It's not possible to describe in words what Diana does because she works individually with everyone and for everyone she has an individual approach. On the last lesson, number eight, I was able to sing a song that I had always wanted to sing, but could not because I had never previously had the necessary knowledge or skill. Diana made a video clip of my performance. After I listened to it, I was very pleased and very surprised at how good it sounded. In other words, you could really call what Diana taught me a MIRACLE! As a conclusion, I would like to thank Diana with all my heart for her school, her revolutionary system of teaching, and for her very existence. I am grateful beyond words!" "I've worked with Diana Yampolsky on numerous occasions, and have found her to be a positive influence on my vocal recording sessions. I would recommend her techniques and guidance as a vocal consultant/coach for any artist in or out of the studio." "I came to the Royans School for one objective; to learn how to speak. I've spent my whole life talking under my breath to the point where sometimes other people couldn't make out what I was saying. Subconsciously I may have been trying to hide my voice from others due to the fact that I felt I had an unusually high voice for a man. Being a 6' tall male I felt embarrassed when I was sometimes mistaken as a female voice over the phone. Vocal Science taught me proper projection and placement of my voice. I have actually learned how to instill more bass in my voice thus lowering the high sound that is produced and bringing a more normal sound to my voice. I recommend it to anyone who feels uncomfortable with the way their speaking voice currently sounds"
"Where do I begin? I want to start by saying thank you for all of your teaching and patience over the last year. I know the road was rough at times but you pushed me and taught me to persevere no matter what. I feel that your vocal techniques have helped my voice improve tremendously. My confidence level has also improved. Others have noticed a change, too! I know that there is still much work to be done but I will not give up. Good things come to those who wait. I am keeping my "Eye on the prize". I feel that your vocal techniques and expert assistance in the recording studio will help me to get where I want to go." "Diana's book, "Vocal Science - A Flight to the Universe", inspired me and got me excited over the possibility of a new "universe" of vocal expression. So I decided to fly from Tokyo all the way to Toronto to receive instruction from her, and it has been worth every penny! I have taken 10 hours of instruction from her and I have learned much more than I have during my many years of singing in other institutions. My voice has completely changed and my vocal chords are no longer strained...and I am looking forward to 10 more hours with her over the next few weeks! Thank you for everything!!" This is an excerpt from Takeshi's letter addressed to us several weeks after his 30 hours of Vocal Instruction: "I just wanted to say thank you for all that you've done for me during my stay in Toronto. I will always carry a part of you with me wherever I go. I trust all is well with you and the school. I hope we can stay in close touch and that we will meet again soon!" "I just wanted to let you know that the musical went great! Natalie and I got bombarded with compliments and it took us a good 30 minutes before we could ever get to our after-performance pizza! The best compliments I got so far were "Rodney, you've kept that voice hidden for years!! I never knew you sounded that great! Don't stop man, because it's sounding awesome!" I've had the best teacher/coach ever in you, nobody else compares--nobody." "Royans Universe Records and the Royans School has brought my dream closer to me than everything I have experienced in my life so far. Diana's techniques are the best thing that ever happened to my voice. At the audition my vocal chords were a complete mess, even after all the lessons I have been taking for as long as I can remember, I had never been taught how to control or to project my voice properly - until I met Diana. She worked with me very patiently, kept reminding me over and over again that I had great potential, that she was there to help me tune up my rusty instrument, and that I had everything I needed to make it. Just to hear those words, and to actually have a teacher who cared enough, believed, and was willing to do everything it took to get me there. Making my lessons worthwhile and fun with a defined purpose, she helped me realize even more that a singer is who I was and what I am meant to be. I was given a great sheet of paper that lists all different types of voice exercises from Do Re Mi Fa So to full phrases, which warm up my facial muscles, my vocal chords and my entire vocal anatomy. 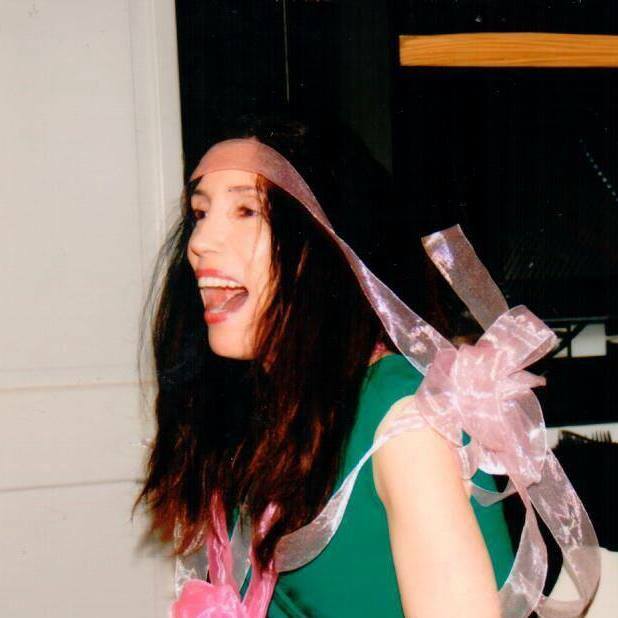 Diana has also provided me a tape of various types of singing exercises, which help me reinforce the technique that I was taught throughout my learning process. In the end I had to choose a song that was not yet published, make it my own, and then record it with Diana in the studio. We recorded at Metal Works Recording Studios and it was such a great experience. The people there were very understanding, and supportive. I owe my success to Diana, If it weren't for her and The Royans School, I wouldn't be the singer I am today, I now have my first recorded single under my belt!" "When I first saw the Royans Universe Records website. I knew I had to do it. So I immediately applied for an audition. And went to the next available open house. I was very impressed by Diana's enthusiasm and perfectionist approach to everything. Just being in her presence was inspirational. What she has taught me about projection and control is unbelievable. It has improved my voice immensely. She taught me how to direct the sound using my whole body and not just my vocal chords. Before her, I was seeing a vocal coach who taught me all the wrong ways to sing and I nearly destroyed my voice in the process. Diana saved my voice and gave me the skills to prevent me from damaging it again. I am forever grateful and indebted to Diana and her vocal technique. It is a gift and I am very glad she is sharing it with the universe." "I cannot express my gratitude in words. I am so thankful that you have helped me because now I know that I would seriously have hurt my voice had it not been for you. This letter is a Thank You letter as well as a wish for the new millenium. I wish that you could spread your technique across the world and help millions of other aspiring teenagers like myself who have a dream. Because of you and your amazing program I am a little bit closer to my dream and that is the most incredible gift I could have ever received. Thank you." "I have had all sorts of vocal training sessions from coaches and such for over twenty-five years in the theatre. Basically I never understood what I was supposed to do, and everyone had something different to teach. If you are someone who wants to have a technique that you can learn and apply that actually works to make you a better singer in every aspect then you don't need to look further that Diana Yampolsky's Vocal Science. Since studying with Diana my range, power, tone, diction, even my presence as a singer have all improved dramatically. Everyone has noticed and commented on the difference her training has made. The more I practice her exercises and sing "working smart, not hard" using Vocal Science, the better both my singing and speaking voice continues to get. I am most thankful that now I can do the long hours of band rehearsals without stressing my vocal chords. I don't have to lose sleep before a gig worried about losing my voice. Also Diana's technique has assisted me greatly in becoming more aware of posture and alignment which helps me not just in my singing but in life altogether. Truly anyone's voice can be liberated from it's bad habits, even if you're like me and poor Diana has years of deconstruction work to do! But it doesn't take long with Vocal Science to experience, directly, this immediate path to improvement and mastery. Diana's visualizations about sound projection and her helpful (and always humorous) verbal anecdotes really helped make it easier to learn how and what to feel to produce the most desirable tone, and improve performance altogether. Thank-you Diana for developing a vocal technique that is truly effective, and, simply empowering. I am glad to report the stubborn mystery of how to sing live or studio rock and roll music (or any style) with fullness and clarity without killing one's self (or others!) is finally solved!" 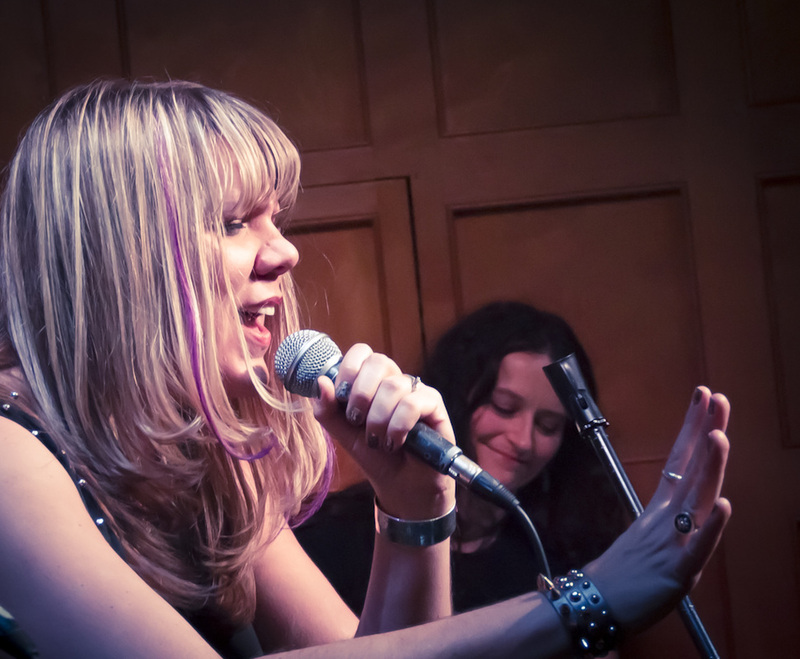 Performance Artist and Lead Singer of the band "God's End"
"Diana Yampolsky displays a wonderful, continental style of vocal coaching; producing tonal clarity and purity of sound with improved projection in her student's vocal stylings. Her dynamic personality encourages the artist to reach improved levels of confidence and ability at an amazingly rapid rate! Diana's teaching encompasses the use of physics and mental conditioning producing a vocal style unlike most North American techniques." "It feels really good now. The course has been really useful. I can hear exactly now when I have done it right and when I have done it wrong. Now I can differentiate it and I definitely have a good notion of what I need to do. I can apply it to anything - my whole life - I feel much more open in general. The whole stance feels great and my whole disposition is better." "I couldn't even sing my song before without cracking on the high notes. And now I can do it and the tone is much better - more rock 'n roll. I was straining a lot more before and everything was in the back of my throat. Now I'm letting it all out and the sound is much more out there. Now I know how to approach it. I'm very happy." "I've definitely become a much better singer, a more aware singer. I think your program and technique have helped me overall with my tone and every part of my singing. I'm much more aware of what is going on with my voice. It has been excellent. I probably couldn't have gotten this anywhere else in the world. It was worth it to come and take the course because I know what I want to do with my life - I want to sing - so if I want to do it, I should do it properly. You are invited to all my shows and my tours and I'll definitely get you VIP tickets and backstage passes!" "I had heard for a long time (over 10 years) of Diana's unique and exceptional teaching abilities... So - I was very excited to come across her book: 'Vocal Science - Flight To The Universe'. After reading it, I noticed an immediate improvement in my singing. I also discovered that I had developed, unknowingly, many bad habits over the years. Diana addresses these common bad habits in her very first chapter: 'How Not to Become a Singer (And Work Harder at Doing It)'! I would describe Diana as being the "Bruce Lee" of vocals: she has a non-traditional, yet suberb and perfect vocal technique that should be the standard throughout the world. Diana has helped me realize a long sought-after dream of being able to sing at a level that I once thought not possible! The book and vocal instruction is certainly worth every penny!" "Diana, I need to give you one million thanks THUS FAR. Your vocal technique is really changing me as a singer. It is kind of spooky how effective it is. After not singing for six months I am back giving performances at my churches Sunday Service and for other special occasions. I have always been a good singer and people would always compliment me after my performances. But sometimes I felt that they were only doing it out of politeness. You know that kind I am talking about? Anyways, I performed two weekends in a row. The first weekend I got really deep, heart-felt compliments. 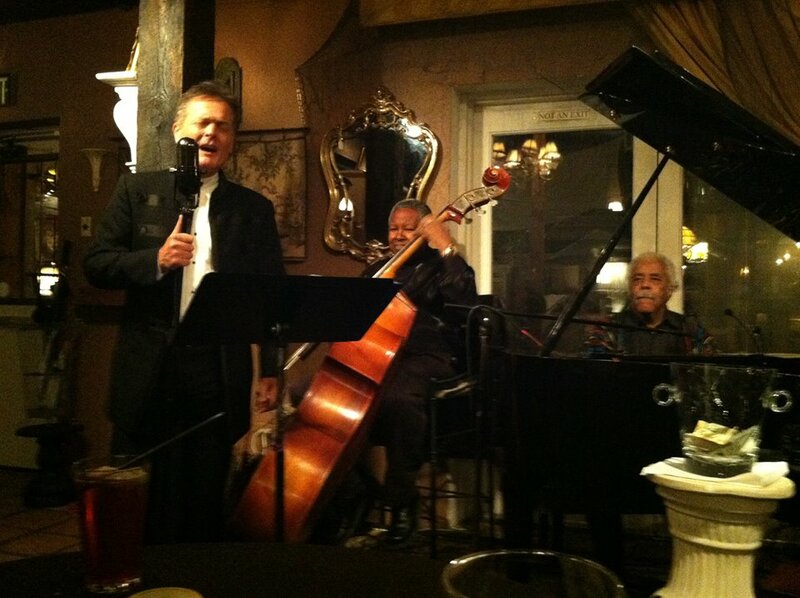 People were stopping me in the middle of conversations and telling me that they REALLY enjoyed my singing and that they were so glad that I performed or that I was the best performer out of all the entertainment. It's weird, people used to always compliment me, but these recent compliments are taking on a whole new color and intensity. Then this past weekend I sang again for a Sunday service and my companies Christmas Party and the response was great too. I got three standing ovations at the Christmas party for each song I did, one which was an encore they requested. Diana, I am in love with your technique. I definitely want some more! I am singing songs that I always wanted to sing and singing new songs (different styles) with such ease. It is so rewarding." "Thank you Diana so much for helping me find not only my voice but also my soul. You helped me find my real voice, which I thought was buried in the back of my throat forever. I am forever in your debt. Hope to see u on this side of the Pacific soon." "I would like to take this opportunity to thank you for helping me to restore my confidence in my singing abilities. I was very concerned about losing my voice at eight years of age. Needless to say, my entire world seemed to be crashing down right before my eyes and I felt completely helpless until my dad enrolled me at your school. After a few lessons I gradually started to feel confident enough to try and hit really high notes without my voice cracking or feeling strained. Your technique helped me to overcome my fears. I have since implemented all the different techniques you taught me to control my vocal range. I'm very pleased to say that since my training I've started to record my first album and performed live in front of thousands of adoring fans!" "After booking Diana's advertising for eye Weekly for over six months, curiosity recently got the best of me. I would read her ads and try to figure out exactly what Vocal Science was. As luck would have it, I managed to get my hands on a copy of Diana's book. After a thoroughly enjoyable read, I decided to take what I had learned in her book and apply it to my own singing. The results were immediately noticeable and Diana's techniques made singing not only easier, but far more enjoyable as well. I strongly recommend that all singers learn Diana's techniques immediately. Your voice will thank you for it." "Vocal Science is a work of the body and mind, in a kind of way that I haven't had to stretch for in a long way. It's not just about the repetition of the exercises. It's actually about organizing and coordinating your body in the kind of way that the exercises work. Posture, belly in, chest forward, shoulders down. For 60 years I had been doing it the opposite way! It was a little hard to change because I had been doing it wrong for so long. It has been a good struggle to overcome my bad habits. When I overcame them I could really hear a difference in my voice - my voice changed immensely. While driving in the car with a friend, she heard me sing and immediately exclaimed, 'You're doing the Royans Method, aren't you?' She said that it was like a filter that really opens up the voice. So thank you very much. It was great. I look forward to coming back." "Diana Yampolsky's vocal technique is very original and personally suited to each individual student. Having taken my lessons nearly a year ago, I find that her lessons are integrated into my mind now more than ever before. She taught me pitch control, volume control, and how to save and protect my voice, all of which I have found to be extremely useful. I am very happy with my overall experience and recommend Diana as a vocal coach to anyone who wishes to pursue professional vocal training." "It feels better, less nasal and much more clear. It was well worth it - worth the time spent and applying the techniques taught to me. I have found that the more I follow the technique to a T, the more I understand it and the better I sound." "Diana Yampolsky is such a genuine, innocent human being who loves her work so much, that it is impossible for her not to succeed at what she does. She doesn't look at her clients as vocal boxes, but as spirits. That's where she connects with you. That's why her results are almost instantaneous. My experience with her was a very fulfilling one. After only a few sessions, my voice sounds a lot brighter and more consistent. When I am on stage I don't have to worry about not reaching the high register with ease. That gives me a freedom that I can't put a price on. Not only does she help you develop a technique that will actually prolong your singing life, but she brings out the best in you emotionally wise, so you can achieve the level of giving goose bumps to your audience. Her method might be unconventional, even shocking at first, but it looks to me that anything that's out of the ordinary and is done with heart and soul is meant to succeed. Diana Yampolsky has definitely achieved that." "I am doing great...my voice feels amazing....I have been doing your warm-ups every day and the difference in my voice is incredible. Now that I am speaking properly it has made a huge difference in my singing...my voice has more clarity and my range is really coming back! What I appreciate the most is that I actually understand how to recognize improper technique and correct it myself (not as well as you, but I'm working on it!) I can't wait to do another 10 hours when you come on the ship. I love you! " "Diana is a revolutionary, true Trail Blazer! Watch out - she's coming for you! It was definitely worth it to come to Toronto for 5 days and I am very fortunate to have met her." "Words cannot express the experience this journey has been. Never in our lives would we have imagined our spirits could be levitated singing up to the universe through our voices, spirit and soul. You have an amazing gift and have touched our livres in ways unimaginable. Thank you for giving 150%. We love you from the inside out." "Diana - words cannot express how much you mean to me. You have truly worked wonders with my voice, and for that I am truly thankful. I know I have grown so much as an artist and I owe this to you. You have saved my voice from destruction and without you I would not have been able to land these shows." "My vocal training with The Royan's Schools of the Performing Arts was one of the BEST investments I ever made. It brought me: continuous financial return, an unexpected singing career and lot's of FUN!" "I feel great. I feel like a new singer. I feel like a real singer. It's the best I've ever sung. It was very much worth it to come all the way from Hamilton and I will continue to come." "When I first arrived at Royan's, I was unsure what to think, as believe it or not, I'm quite shy when meeting new people. I had been struggling with my vocals for a few weeks and my confidence in myself was at an all time low. After a short 1 hour instruction with Diana though, I could already feel and hear the difference in my voice. Right then and there I knew I had to continue with Diana if I wanted to have any chance of a prolonged career in music. At the rate I was straining my vocal chords, who knows how long I would have lasted on tour, and I think any singer would agree, losing your voice on tour is one of your biggest fears. Lesson by lesson, my technique changed, my tone changed, and most of all, confidence in myself changed. No longer do I go into shows wondering if I'll make it through, I now sing with confidence and can enjoy myself. So thank you Diana for all your help, I'll never forget it. Oh, and I won't forget to "smile and bite!" I've come a long way. I've learned how to re-speak. So, Diana has taught me a lot already and there's a lot more to learn. I will be back. Diana's crazy good! [Two Thumbs Up] She's very talented! Question: Was it worth it? Answer: It was very worth it. I speak a lot clearer now than I used to, even my poor little deaf mom can hear me clearly now. You already saved her, so it was worth it! "My singing sounds better. It doesn't hurt at all. Before I would be lucky to sing the song (I worked on with Diana) and it always hurt a lot. It was my hardest song to perform and now it is easy. Now I can sing it over and over and it doesn't hurt my throat. It has changed everything so much. Before after a show my voice was so tired and in rehearsal I could only sing the set one time. Now I can run through the set several times with no problem and it doesn't hurt. I haven't changed the tone - it still sounds like me, but it is just better." Question: How did you feel now with the whole song? Answer: It felt amazing actually! Question: It was. I'm absolutely stunned. The more you were going into the song the more it opened up. How's your throat? How's everything? Answer: I don't feel it in my throat actually. Question: In comparison with before? Answer: Oh before it was almost like I was yelling after the chorus. I don't feel it in the throat anymore. I just feel it up here [in the cheekbones]. Answer: Yeah, I feel the vibrations of course. Question: Now you know what you're doing, you have your map, your so to speak "vocal GPS". You're feeling more confident I believe? Answer: Way more confident. I'm having more fun while I'm playing it now. It's not hurting. It's a lot easier to hit the notes that were hard for me to hit before. It's more fun for me now. "It is incredible! I came here with a sore throat just from speaking and now even when I'm singing it doesn't hurt anymore. Thank you Diana." "Thank you to Diana Yampolsky for helping me bring my voice to new heights." "Diana Yampolsky brings great energy to her work and dedication to her students." "Crazy!!! Thanks, Cindy, for setting it up. It was incredible!!!" "Diana really knows how to draw the power out of a singer." 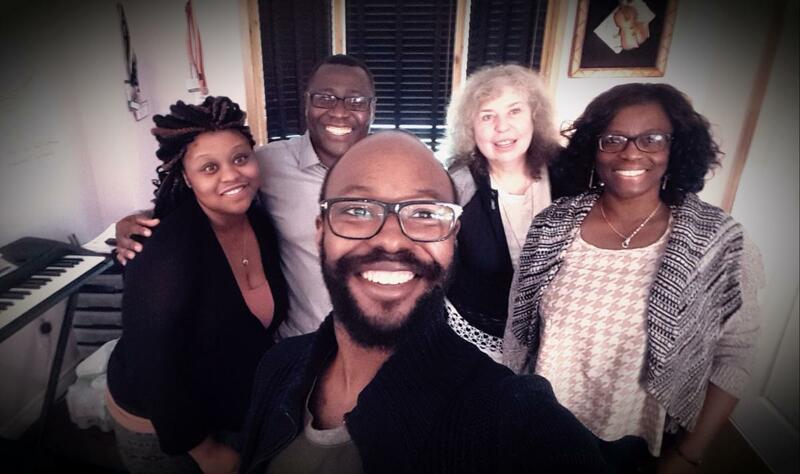 "Diana Yampolsky is hands down the best vocal coach I have ever had. Her vocal technique is like none other. I have had various vocal coaches around the globe and none have offered a technique that makes you sound 100% better without creating any wear and tear on your vocal chords. I believe if more singers and anyone in a field where they primarily use their voice were to utilize this technique ENT doctors would go out of business! Thank you Diana for your patience and for passing on your wonderful gift of happy healthy vocals." "You definitely could teach us how to sing, so you could obviously teach anybody." Of course I was hesitant to come to Toronto, Canada from Florida, U.S.
By the time I came, I had already spent $15,000 attending 4 ENTs, 2 speech therapists, a thyroid specialist and a neurologist. I'm self-employed and do not have insurance, so all of those tests in the U.S. cost a lot of money. I was diagnosed with dysphonia, but I did not reveal to Diana my diagnosis, as I wasn't sure that she would want to deal with me. Within five minutes after we met in the neighbourhood cafe before starting the first session, Diana exclaimed, "You sound like you have a full blown dysphonia". I was amazed that she knew that right away, as back home, it took a whole bunch of tests by being hooked up to the special machines, to finally get the diagnosis. I went to two speech therapists, but they did not impress me and I did not feel confident to do any work with them. When I spoke to Diana, I got a lot more information speaking with her than with anybody else for the last two and a half years. She spoke with absolute certainty and sounded like she definitely knew what she was talking about. I, right away, started to feel more confident. Granted, it cost me almost $4000 for five days of Diana's revolutionary instruction and herbal treatment, but it was definitely worth it, as I felt very happy while speaking much better and being completely understood, as before, the sound was coming out very low and very raspy and without any articulation or placement, for that matter, which Diana taught me about. I am most certain now that after Diana's course and my homework for my voice and mainly for my overall health, that when I will return back to Diana's studio and then will get introduced to her health affiliates to help me feel even better, I will have full confidence that all of it in combination will definitely help me to regain my voice to its full extent. Diana and I are both excited about me regaining my full voice as I had before, and it will be much better now, as I have learned Diana's revolutionary Vocal Science technique, which also taught me how to place and project my voice properly, away from my vocal anatomy, which in turn resulted in the complete comfort in my throat and negated the nagging and constant pain, which I have experienced in the past two and a half years. Now I have a clear picture of how to proceed from here. Nice to hear everything is going well with the studio! I hope everything is great with your family!! I cant deny that you put me on my way; to be able to sing for hours until I just become too tired! Something I never thought possible however believed if others can do it so can I. It took still a couple more years after seeing you to figure it out to for me I feel as you once said becoming invincible! Well, I feel like that now with my voice...cant believe it. I told you before I was getting fewer sore throat infections with viruses like colds and Flu...to now in the past couple of years a sore throat is something of the past, which I believe should be also marketed as a benefit...I truly believe people who get sore throats are stuck in their throat constantly putting them under stress and the first exposure of a virus susceptible to infection. I am currently battling a cold but have ZERO throat symptoms to pre-Vocal Science I was the sore throat KING which you so eloquently said I was stuck in my throat! Amazing! Thank you!!!! I don't know if I would say it took 10 hours...LOL..maybe for some I guess....it is truly like learning how to walk all over again....I guess I feel like, now that I understand more the entire connection.....Amazing how the connection works...of all the moving parts, face, positioning and most important is the diaphragm control...wow that was a very difficult thing to bring in. Interesting, now that I speak sing just behind my teeth maintaining a constant diaphragmatic pressure..which is now the honing of the technique to master the pressure...like any wind instrument. Anyway...I do want to acknowledge that if it were not for you I would have been going down the wrong path and I will always give credit where credit is due. Thank you. Thanks again Diana...you were the spark! No matter how crazy you are..LOL. I just want to say thank you so much for the great vocal training! I really couldn't believe my own ears were hearing the improvements in my singing ability. It seemed to me the voice must be coming from somebody else because I could never believe I could sing that well. At one point I thought it was nothing short of miraculous! I look forward to more training in the future! Thank you for your support and kindness over the last few days. I'm so excited by the improvement in my voice, even if I now have a Canadian accent!!! I'm practicing and look forward to speaking in a couple of weeks. Go well. Anyhow, in the meantime the voice is sounding stronger. I am feeling loads stronger myself and the weight is dropping off without the wine, bread, diary (and all naughty but nice cakes etc). Making time for the herbs twice a day, drinking loads of Chlorophyll (actually think I am addicted) and doing a few exercises particularly before reaching to take a phone call. The new speaking through the upper palette is still not natural for me but am sure that when I do it, it relieves the vocal cords.